“A map is more than just an indication of a road or pathway. I have used many maps over the years. In the UK these have been produced by A-Z, Bartholomew, Goldeneye, Harvey, Nicholson and many others, even Google Maps is probably accessed by me on a weekly basis. However it has been Ordnance Survey, by a long mile, that have been prevalent over the years. 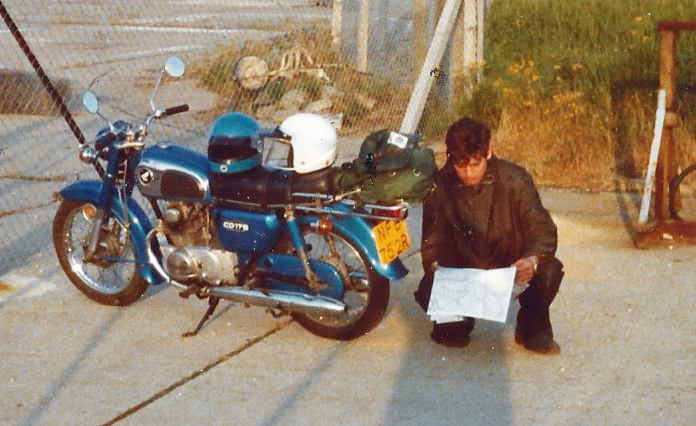 From an early age I was checking out my local haunts on their maps, later on it was to plan long cycle rides or fishing trips. Walks as a teenager were planned on O.S. sheets and they still are today. What follows below is not a history of the Ordnance Survey, still less an attempt to show examples of any majority of cover designs. It is simply an exploration of those O.S. maps, covers, styles and, just a handful, of the changes that have occurred that I noticed as I have moved through the years. I have long had a love and fascination with maps. Alongside my maps from various suppliers, of various countries, most with a memory attached, on my book shelves, is a slim volume that I have had for many decades. It is one of the few books that survives from my childhood, is terribly outdated yet still has the power to instruct. I immersed myself in it totally as a youngster and Ladybird volume- Understanding Maps was a great tutor to me in my tender years. Despite this little book being from Ladybird’s series 671, no more were actually issued in that series. Published by Wills & Hepworth in 1967, there were a couple of reprints. While it would be easy to dismiss this as simply a child’s book, so clear is the instruction that the UK’s Ministry of Defence purchased copies of the book to help train their soldiers prior to the Falklands conflict of 1982. I purchased my copy with pocket money when childish curiosity in maps took hold. Not something that probably occurs too much amongst today’s generation. It cost a grand total of two shillings and sixpence in those pre-decimal days. Though reasonable, that was still quite a heft from my allowance. Nancy Scott provided the text that accompanied the illustrations by Ronald Lampitt in the slim 52 page volume. I never realised at the time that the map I was using to plan my early cycling and fishing trips was not only one of the most appreciated and loved series of sheets produced by the Ordnance Survey, both renowned and lauded by map-lovers worldwide, but also on its last legs. The O.S. One-Inch series was about to be completely superseded as they embraced metrication with the release of its 1:50 000 scale maps, or one and a quarter inch to the mile. While the bright red covers had been derided on their release, the sheets themselves had built a solid reputation. Sheet 160 covered my home town of Watford with Garston Park to its north. It was in the corner shop on the Garston shopping parade that I bought my map for the grand (and quite high to a nipper with limited funds) total of 44 [new] pence. I was dismayed as a twelve or thirteen year old to discover that the small Meriden Estate in which I had grown up and lived was small enough to not even warrant mention on the map. It was then that I began to properly appreciate that there was a world beyond my familiar youthful tramping grounds of nearby Bricket Wood Common, Munden, Cassiobury Park and neighbouring Whippendell Woods. 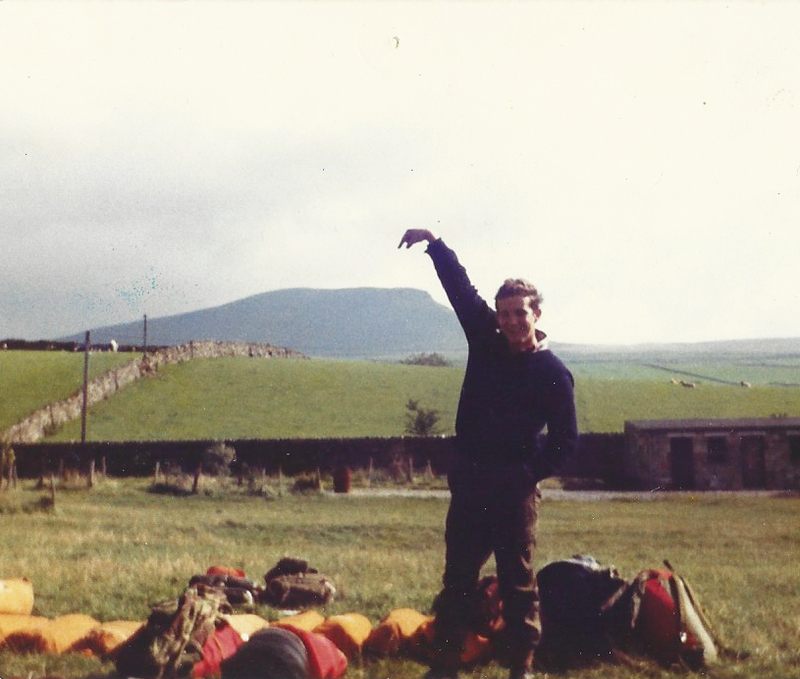 Obviously I was aware of the wider world, I wasn’t a complete muppet, but Ordnance Survey maps helped make me aware that what lay beyond was potentially within my reach. 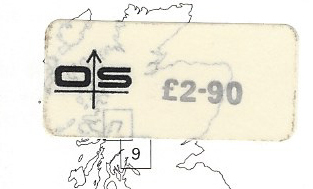 The Ordnance Survey colophon, a broad crossed arrow, ‘pointing north’ with stylised O.S. 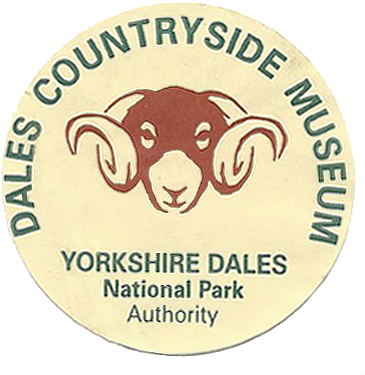 initials was a fairly new addition, introduced by the Central Office of Information, it first appeared on maps in 1969. The plain deep red covers had been widely criticised on their first release however such complaint had passed me by unnoticed. 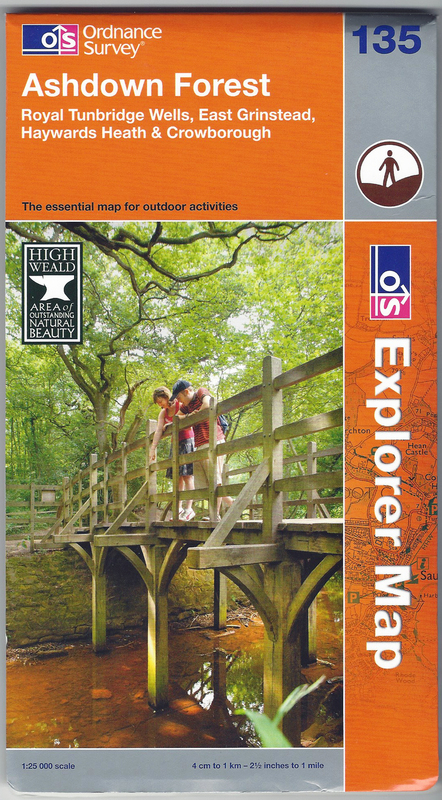 It may seem a little strange to some, but I do recall the excitement while growing up, of our family camping expeditions (they were never simply holidays) being heightened by viewing one of the new Ordnance Survey Tourist Maps for our chosen area. I had never experienced the earlier pictorial cover series produced by the O.S., I was too young. So to see these quite dramatic, to my naive eyes, covers showing images of historic and local features that I could actually see was quite thrilling. 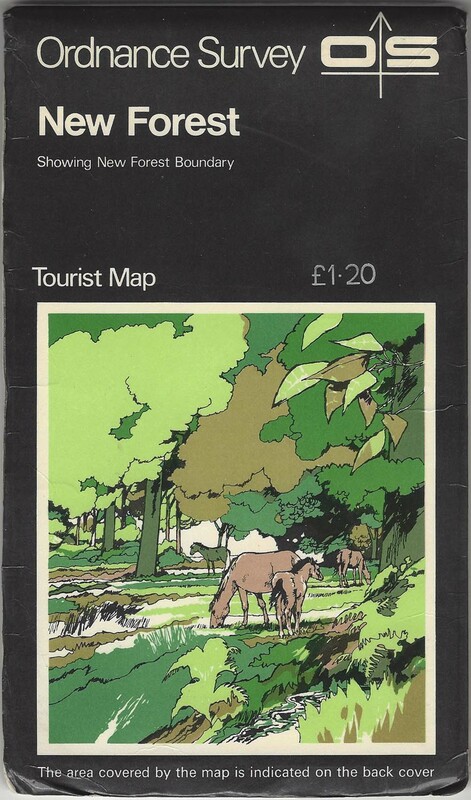 Before reaching our camp site my dad would ease his heavily laden car to the side of the road in the New Forest and we would excitedly point out the New Forest ponies and their foals, the very creatures that could be seen grazing on the cover of the Tourist Map for the area. 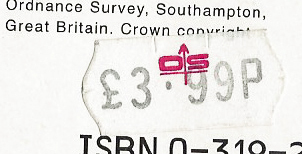 By the late 1960s the Central Office of Information had taken over the design of Ordnance Survey publications. While some of their covers, such as the red one above were largely unappreciated, others were more popular. The heavily stylised covers of the early 1970s were attractive with their solid black surround and were so very different to what I had previously experienced. Each tourist location for which there was a map had its own striking image. 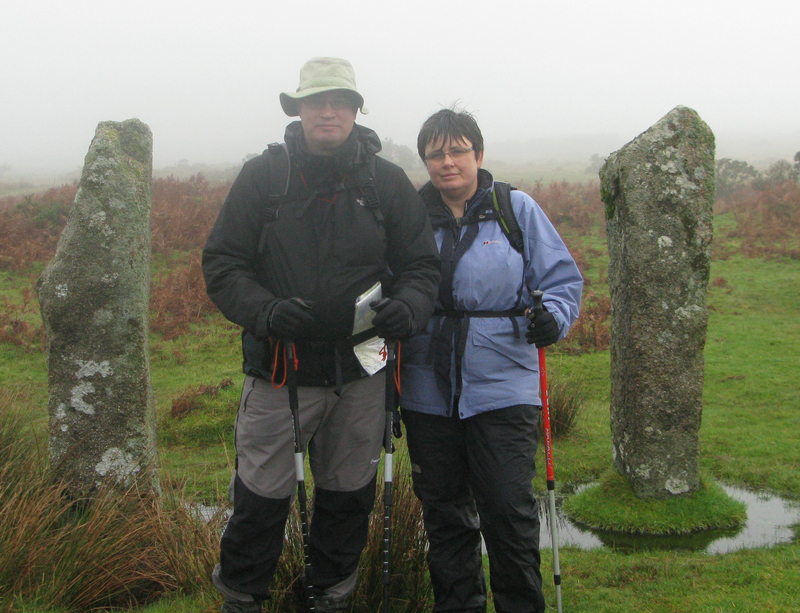 Thanks to my parents and their annual trips to seemingly distant parts of the country, (at least it seemed that way to a car load of impatient, fidgety children), as a child, I walked across the Tarr steps shown on the Exmoor sheet and climbed (slightly) up Hay Tor on the Dartmoor cover. This series of maps will forever be linked in my memory to a particular few years of family holidays as I grew up. Like those holidays, this O.S. series of covers couldn’t last forever. They had started as One-Inch maps but even within their brief lifespan were superseded by the 1:25 000 scale. 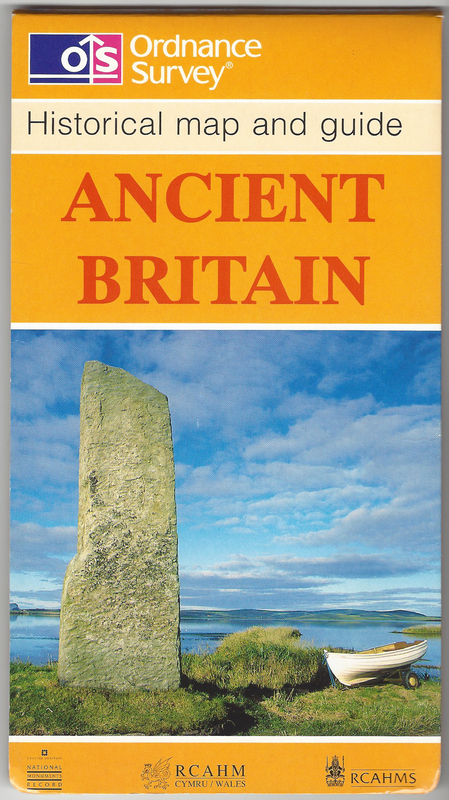 If only there had been a sheet with that striking neolithic site on its cover that we would pause at so often on our trips across the Salisbury Plain. Clambering around and over the sarsens and bluestones at Stonehenge was an experience that I can never repeat. Sadly, the pictures of me never survived, only those of my older siblings. Pretty as the artistic Tourist maps were, it is difficult today to appreciate just how ground breaking it was at the time, quite shocking actually, to see actual photographs begin to appear on the covers of my beloved Ordnance Survey maps. 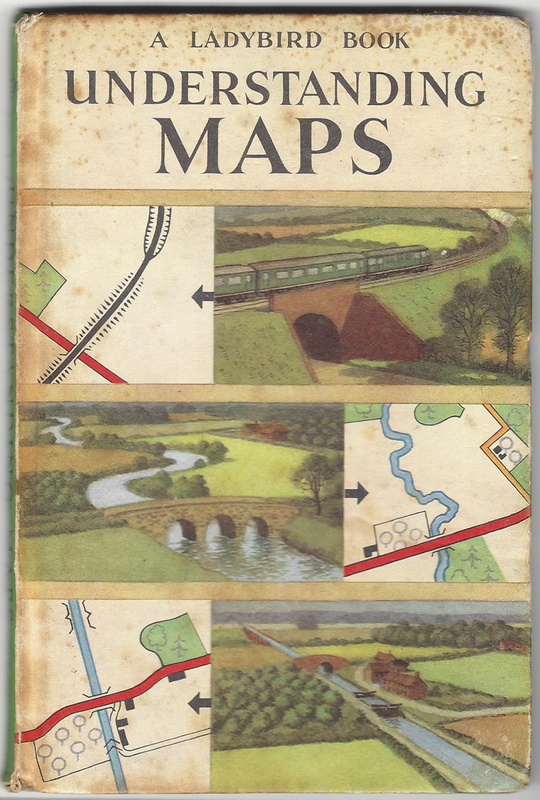 Full colour photographs on the cover of maps had been first introduced by the Ordnance Survey in 1978 on their 1:250 000 Routemaster series. 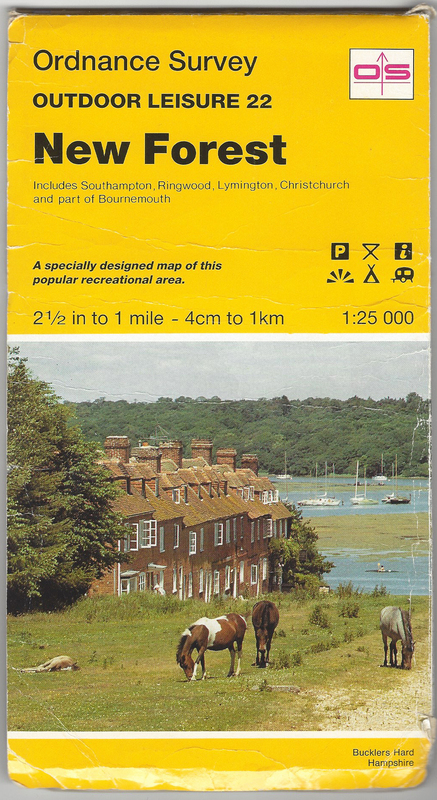 A further addition to the Tourist Map stable came in 1982 when colour photographs across the whole face of the map cover, with the text in black, were introduced. 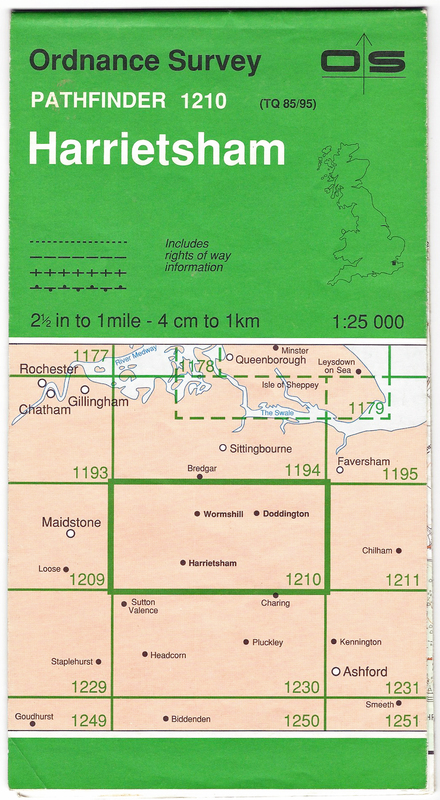 The Cotswold sheet of 1983 was the first Tourist map derived from the metric 1;50 000 Second Series, reduced to a scale of 1:63 360, or One Inch. 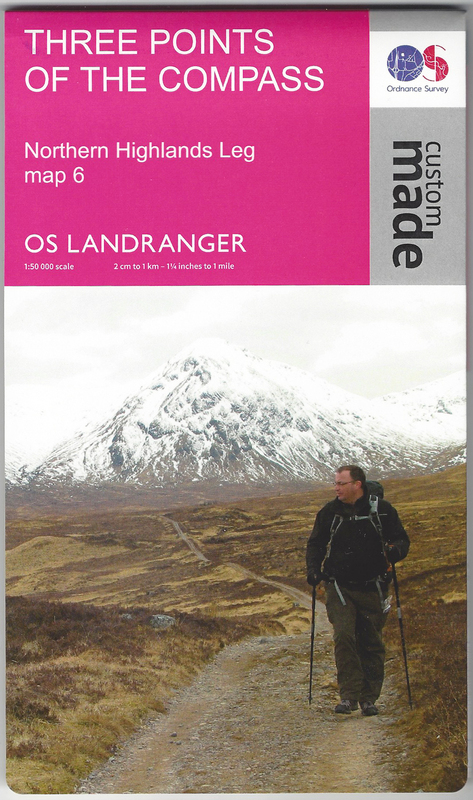 It wasn’t long after I purchased my first Ordnance Survey Pathfinder map (below) that I, along with the tens of thousands before me, discovered the sheer joy that is the Ordnance Survey Landranger map, possibly the pinnacle of map making. With the demise of the One-inch series, the Ordnance Survey looked to a suitable product to replace it. Having settled on the 1:50 000 scale to cover the entire UK, a striking pink/purple (or more accurately- magenta) cover was adopted. They certainly drew the eye in their tiered ranks in shops up and down the country. 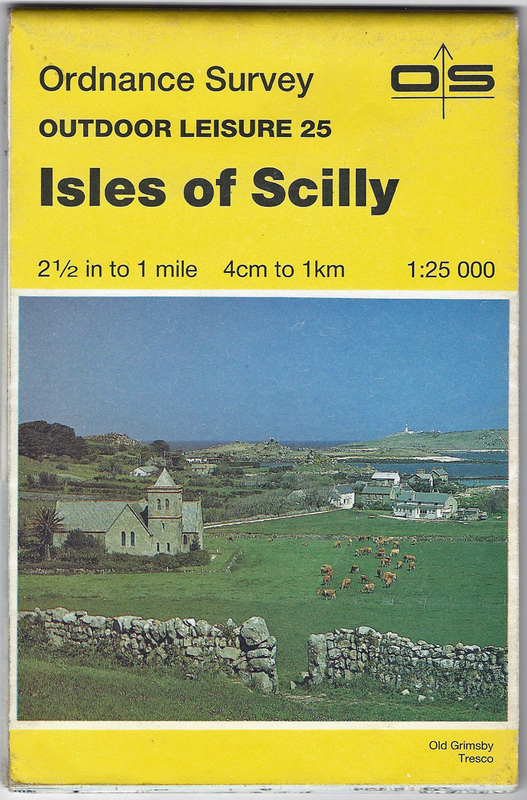 This all purpose 1:50 000 leisure series covers the whole of Great Britain and the Isle of Man with 204 sheets. Each map covers an area of 40km by 40km (25 miles by 25 miles), I have bought dozens of these maps over the years. They have been used and abused, scribbled on, soaked and dried out, shredded in the wind and rain and led me out of trouble in both poor and perfect weather conditions. 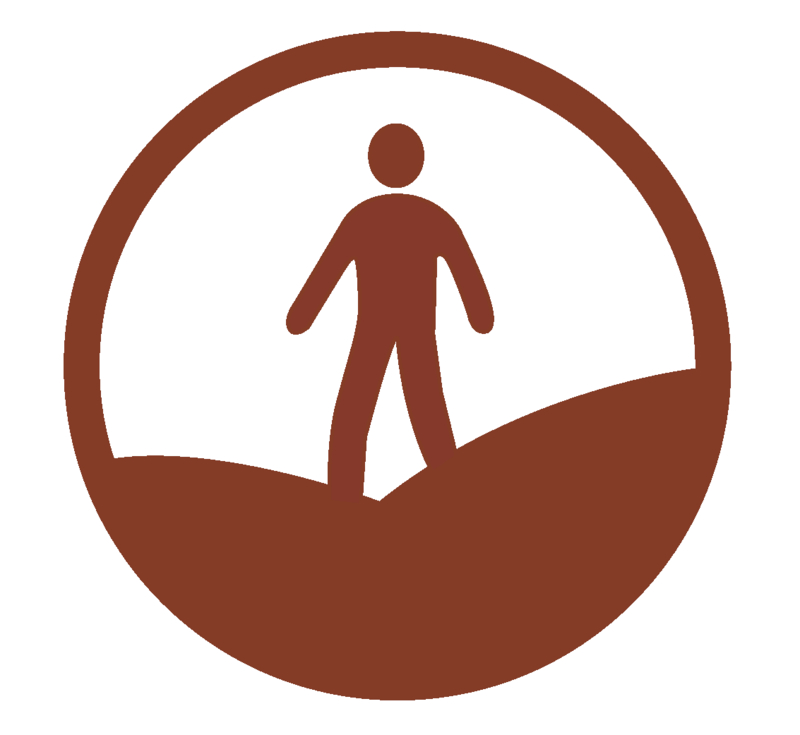 All footpaths are shown on these but not to the fantastic level of detail that the larger scale Outdoor Leisure and Explorer maps do. The 1:50 000 scale equates to 2cm to 1km or 1 1/4 inches to 1 mile. I have found these maps a happy medium for both walking and car touring an area. With the 1:25 000 maps you move off the sheet far too quickly when motorised. 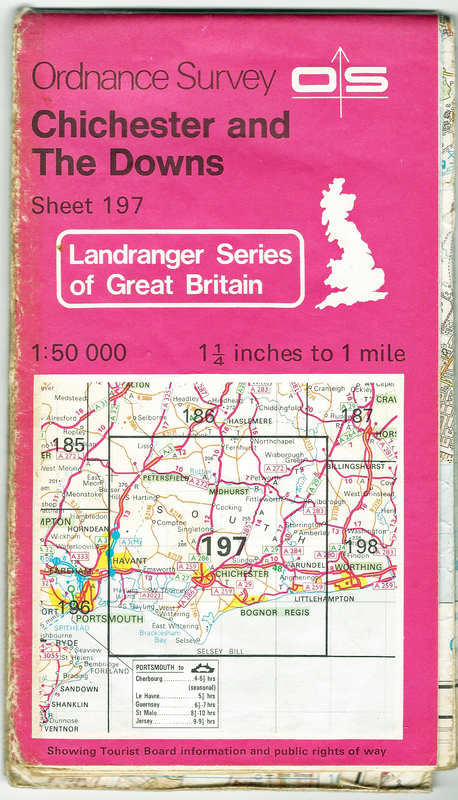 First given the Landranger title in 1980, it was sheets from this series that accompanied me when I walked the South Downs Way as a teenager. Pushed for time, this was my first experience of night hiking a national trail. There no need for a light. It was a revelation to me how the bare chalk of the worn path across the Downs glowed in the darkness under the light of a pale moon and stars. No use of red light to preserve night vision then, it was close one eye, turn the torch on, study the map, flick the torch off and carry on, blind in one eye for the next mile or so. Photographs were added to the covers in 1984. Each map carried an image of a locality found on that particular sheet. The scale of 1:50 000 sheets seems to suit the British Isles almost perfectly. 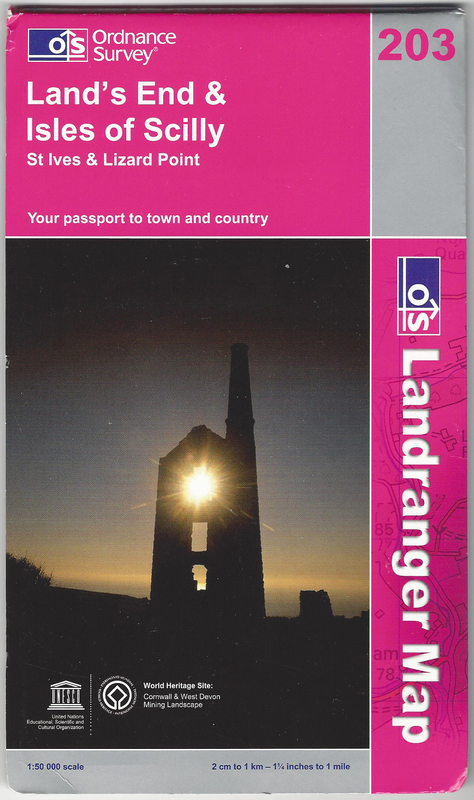 Sheet 203 for example, covers a vast area of Cornwall and was as suited for car touring as it was when I last went to that South West corner of England exploring the old abandoned mines and workings of both coast and country. In my mid-teens, my parents pulled into a lay-by on the A249, I hopped out, grabbed a pack from the back of the car. 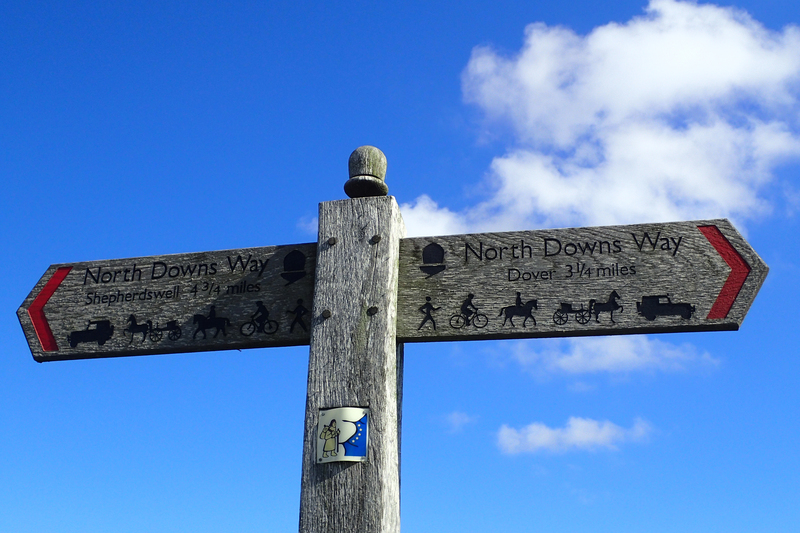 waved farewell to them and spent a happy few days traipsing along the North Downs Way and Pilgrims Way in North Kent, switching from one to the other as I wished. I never completed the whole trail and my gear, such that it was, was very basic. It was summer, I came to no harm, got sunburnt, ate poorly, slept like a log and had a great time. My parents picked me up a few days later. 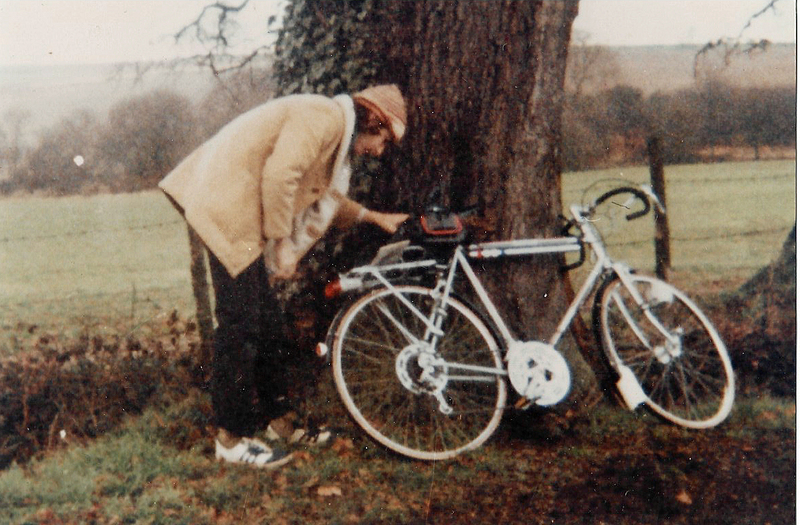 It was the Ordnance Survey 1:25 000 Second Series that mapped my way for me. I was already keen on these small and lightweight maps. These maps had ‘proper’ card covers, pasted to the edge of the map sheet. 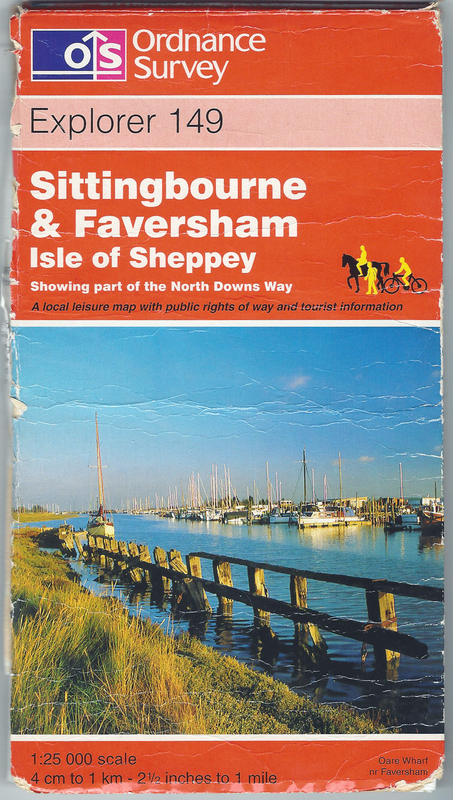 They differed from the First Series of 1:25 000 maps by having public Rights of Way marked on them and were a touch more attractive with added colour. 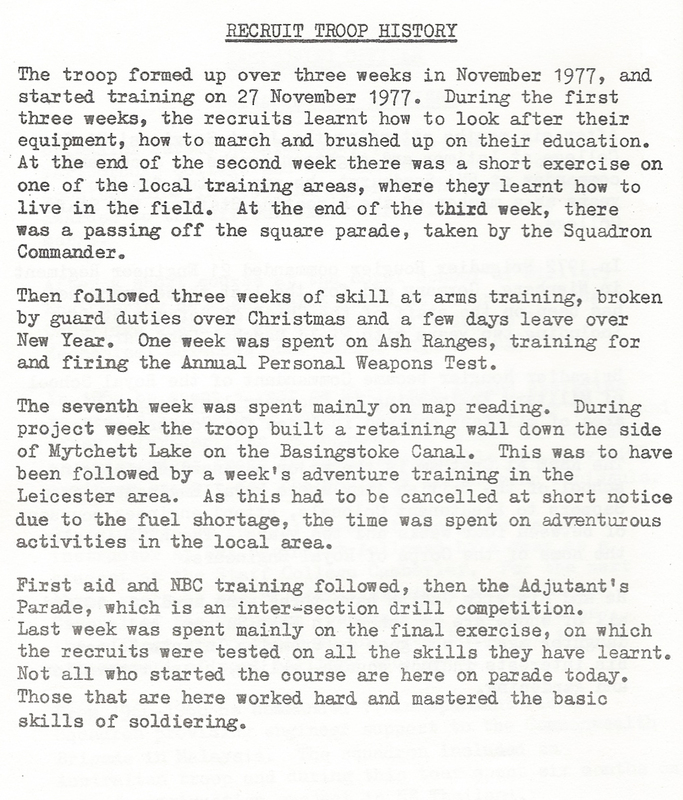 I see from the booklet given to my parents, when they turned up to watch my Pass-off Parade in March 1978, that my basic training as a raw recruit in the Royal Engineers encompassed training in map reading in week seven. I was pretty much familiar with maps by then and reading and understanding maps presented far less of a headache to me than it did to some of my comrades. Map reading was a skill bought into use fairly frequently during my army career, in the UK, Germany, Austria and Canada. 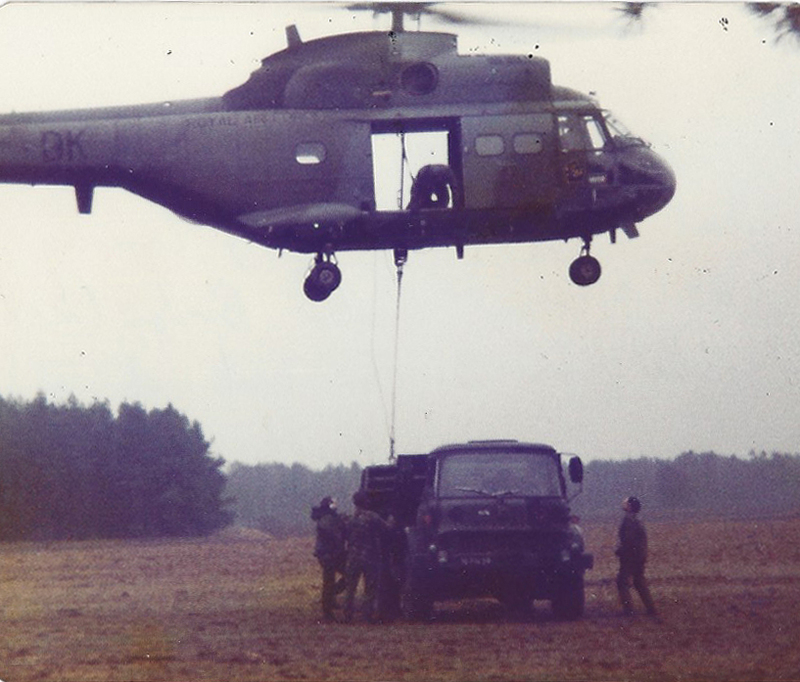 Most challenging were a number of exercises where we were expected to navigate from point to point, to meet a Puma or Chinook helicopter at a specific grid reference at a specific time, to be picked up and dropped elsewhere, to then begin the hiking at speed, by day or night, to another point all over again. Miss the rendezvous and it was a long hike out. The Pathfinder series was the result of a rebrand and renaming of the 1:25 000 sheets at the end of 1979. The changes were not great. The ‘cover’ as it were, was actually printed on the map sheet itself, folding the map correctly meant that this green cover was revealed to the outside. 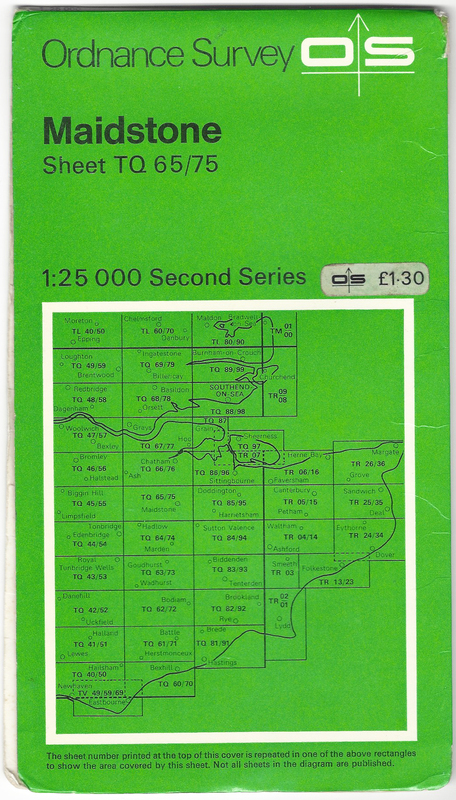 Despite the public’s fondness and loyalty to the old one inch to one mile, the green covered 1:25 000 Pathfinder series were amongst the first Ordnance Survey maps that I bought in any great number. Issue of the first series of 1:25 000 maps for civilian purchase began around 1945 and variations and rebrands lasted right up to circa 1992. There were over thirteen hundred of these maps. I never came across any shop that stocked more than a handful of the local area maps. I steadily bought every one in the neighbourhood I grew up in. As a teenager I would pop in to any likely shop in the hope that they might carry one of the more elusive sheets. Despite the small coverage each sheet delivered, I used these over the One-inch series as I explored the countryside on both foot and cycle. Most maps covered an area 20km east to west and 10km north to south. There were a handful slightly larger to accommodate coastline and a small number of Pathfinders just covered an area 10km by 10km. Coverage of the country at a scale of 1:25 000 was steadily converted away from Pathfinders to Explorer and Outdoor Leisure maps. The OS colophon, top right, could be in either white or black on green. In 1993, this changed to a black on white logo in a black lined box on the cover. The exact location of the sheet in England was also added for clarity. Possibly recognising the there was an increasing percentage of the general public that failed to understand what exactly a scale of 1:25 000 exactly meant, the scale was explained further with the addition of: ‘2 1/2 in to 1 mile – 4 cm to 1km’ being added to the cover. These maps became increasingly difficult to find. 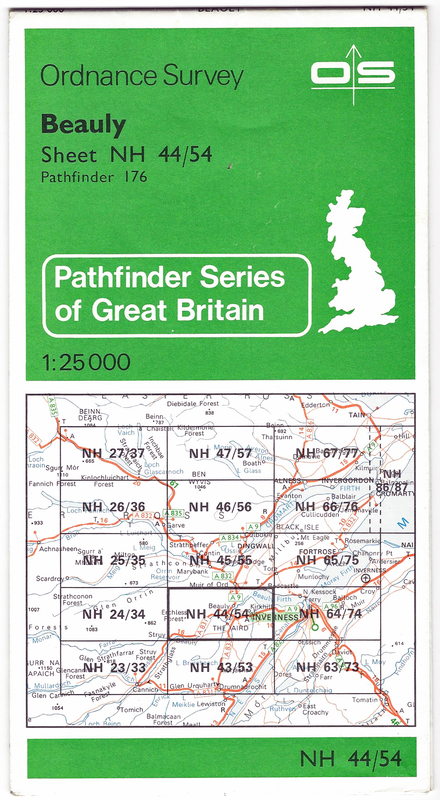 As their area became covered by Explorer or Outdoor Leisure maps, the Pathfinders were withdrawn from sale, replaced by the Explorer series in March 2003. 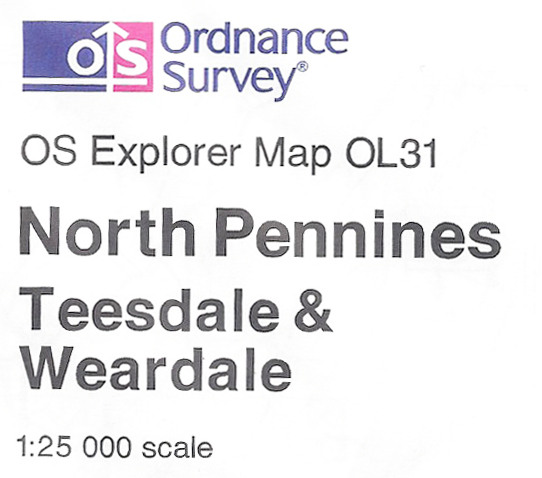 For fifteen years the Ordnance Survey persevered with the same logo. During that time, despite a growing wish to be referred to as simply the ‘O S’, the full name stuck and seemed to resonate with the public. To my mind it is a successful and iconic mark that could have had a much extended life. It wasn’t to be. The new logo is clever, but has removed the link between map and compass, to it’s detriment I believe. Despite a fondness for the 1:50 000 series, in more recent years I more frequently buy one of the 1:25 000 maps when I want a bit more detail, quite a bit more detail actually. 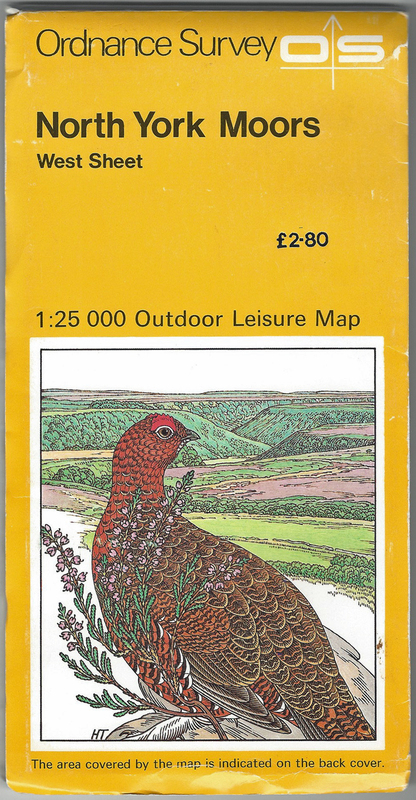 The early series of 1:25 000 Outdoor Leisure sheets from Ordnance Survey had a quite charming set of covers, each with a bird, flower and background design particular to the area covered by the map. The artist was Harry Titcombe, an employee within the Central Office of Information who was also an artist and ornithologist. As an amateur naturalist with a particular fondness for avian life, these covers struck a chord with me. The Red Grouse on the cover of the North York Moors sheets was the bird that would frequently give me heart failure as it exploded from cover as I bashed my way through the heather (ling) on those moorland hills which also featured on the cover panel. 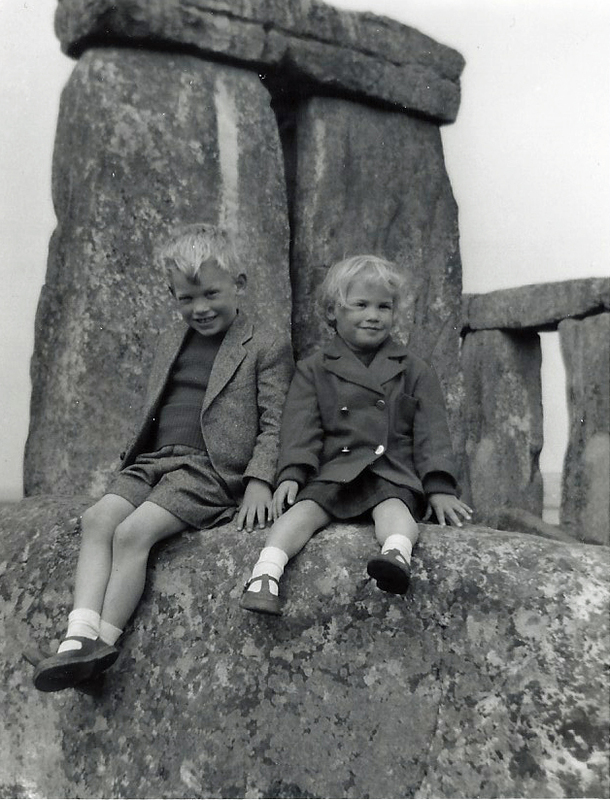 When my daughter was born I was determined to introduce her in her formative years to some of the most beautiful, striking and noted parts of the British Isles. Despite her prevalence to car sickness, every year I subjected my daughter to numerous trips and thousands of road miles as our family explored countless areas while car camping, tent up, we walked for miles. The yellow covered 1:25 000 scale Ordnance Survey Outdoor Leisure series that covered Britain’s National Parks and large Areas of Outstanding Natural Beauty was ideal for my purpose. 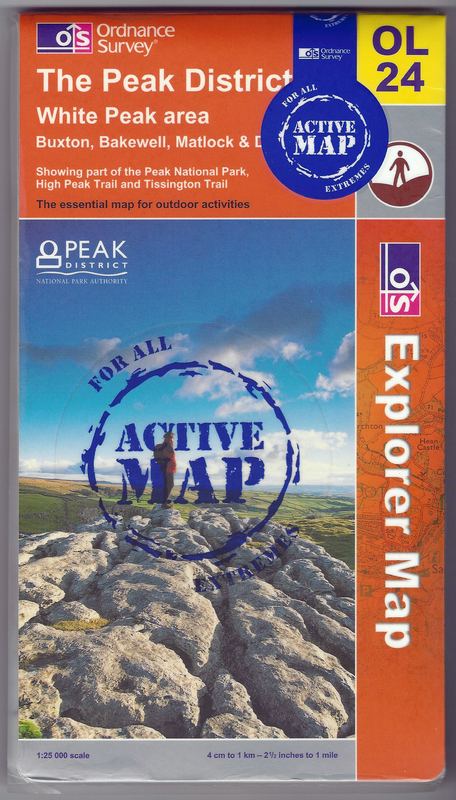 These were the most detailed leisure maps produced by Ordnance Survey. In fact the level of detail is quite amazing, certainly amongst, if not leading, the most detailed topographical maps in the World. To be able to tell on which side of a hedge a path is, is testament to their detail. However, don’t try using one of these maps to navigate yourself around a town. The amount of detail works against them and it is an almost impossible feat. 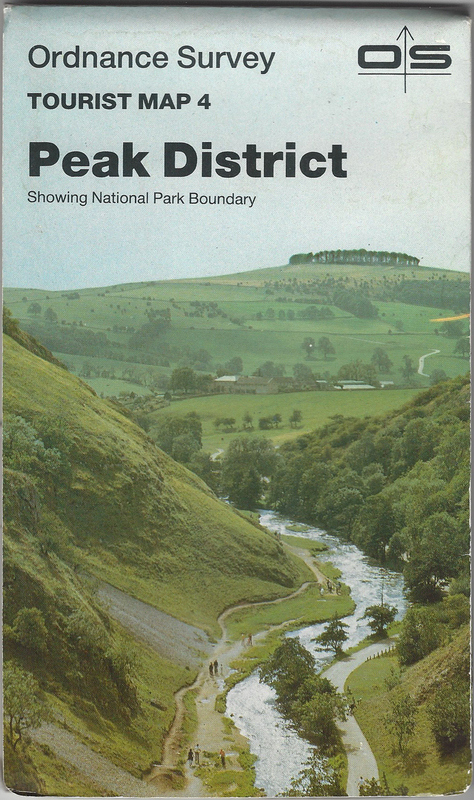 First printed in 1972 with the release of OL1- The Dark Peak area of the Peak District, the majority of the maps were double sided. A really useful feature that ensured far larger coverage of an area than normal. The series was discontinued in 2002, being replaced by/merged into the Explorer series of sheets. When the Explorer series superseded the Outdoor Leisure and Pathfinder series, those with an extended coverage of particular areas of interest, additionally carried the ‘OL’ on yellow on the cover, as a reminder, and possible homage, to the foregoing Outdoor Leisure sheets and covers. 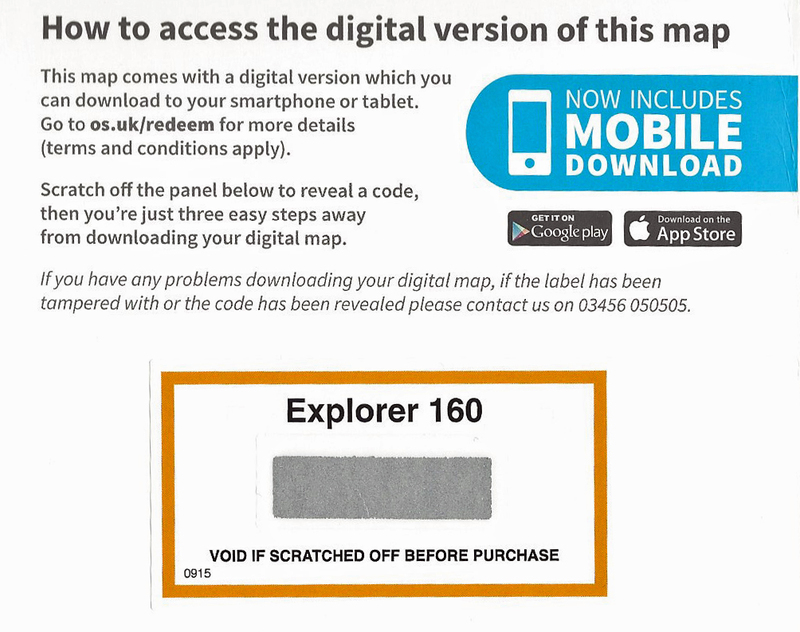 Beginning in 2014, the Ordnance Survey ran a couple of ‘map return schemes’ whereby older maps could be returned to be exchanged for a voucher. I thought about returning some of my own- though not for long! I simply couldn’t face up to being separated from my beloved older maps in such a manner. I am by no means a completist or collector of Ordnance Survey maps. However I must confess that there are a handful of sheets on my bookshelves that have never been used. 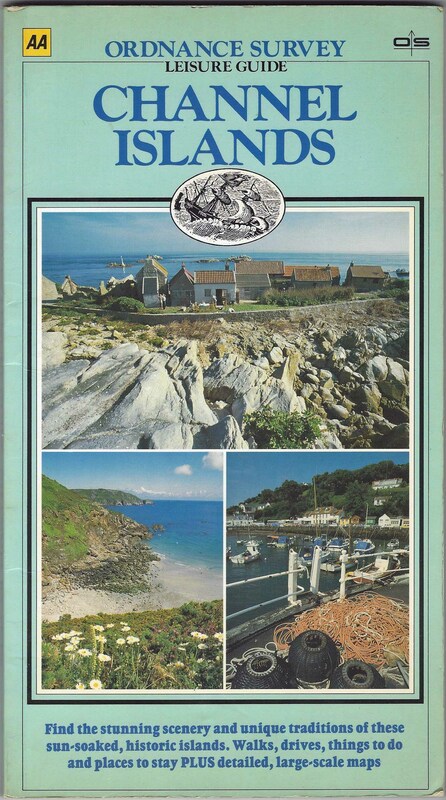 The small format Outdoor Leisure 25- Isles of Scilly cover the small archipelago off Cornwall. I bought this little map in preparation for the time I would spend exploring these little islands and islets. Over forty years later I have yet to make it the 28 miles south-west of Lands End to do so. 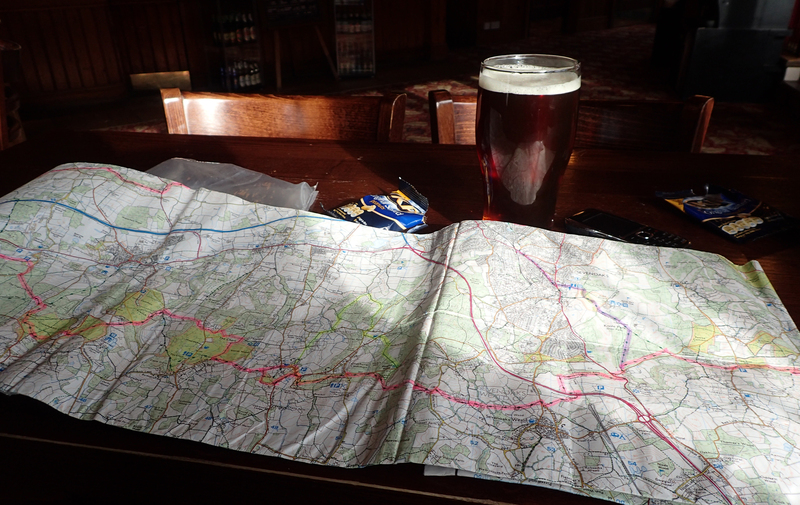 One day, though I might fork out for a new paper map when I do so, if there still is such a thing. 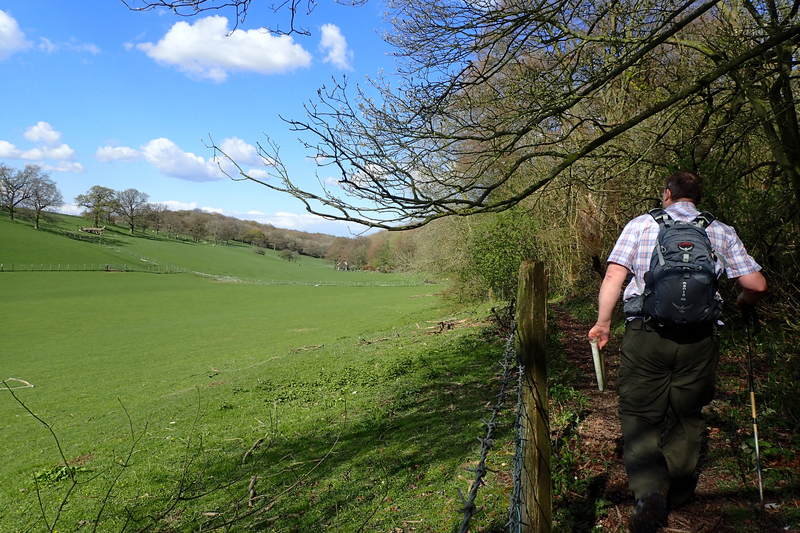 Gathering a multitude of Ordnance Survey maps together over a period of years also brings home a realisation on how the public, users of open spaces and the Ordnance Survey themselves, alter their opinion as to what and how areas should be covered. The double-sided O.S. Outdoor Leisure sheet number 44, only published in 1997, covers the Tweed Valley at a scale of 1:25 000. To get the same coverage from the O.S. 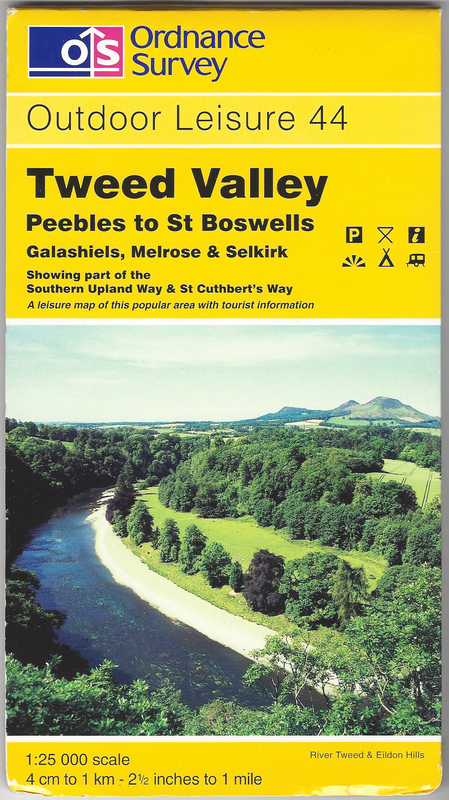 today, I would need to purchase single-sided Explorer 337, covering Peebles & Innerleithen, and single-sided Explorer 338, covering Galashiels, Selkirk and Melrose. It is either that, or purchase Landranger 73, covering Peebles, Galashiels and Selkirk, however this is at a scale of 1:50 000. 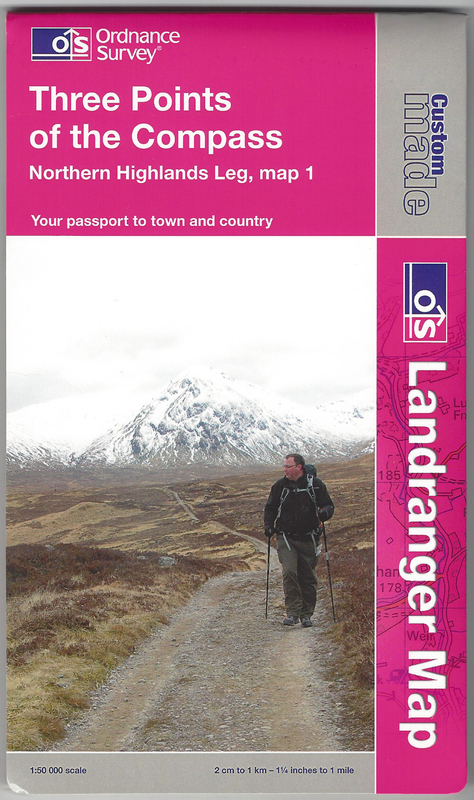 As well as the plain paper sheets, a number of the Landranger, Explorer and Outdoor Leisure maps were available in Ordnance Survey’s Active Map range. These were the normal sheets (though not all of them) in a plastic laminated format. I never purchased many of these. 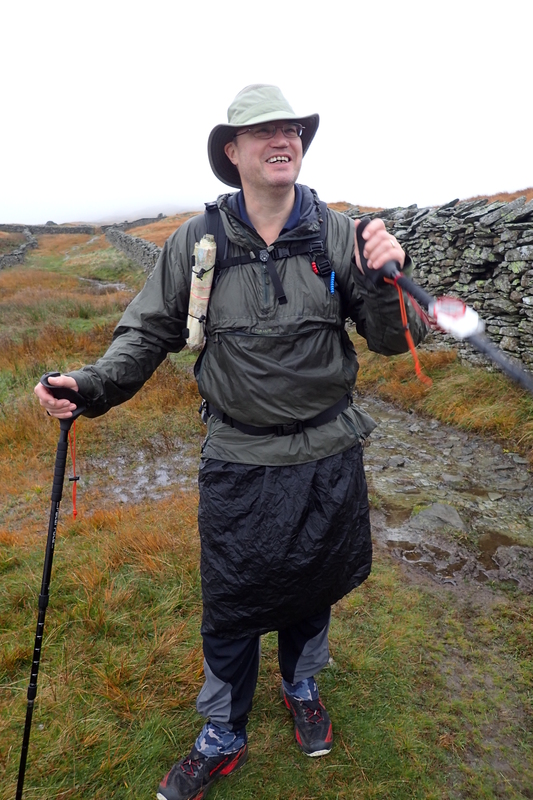 Despite working well as waterproof maps, they cost more, were stiffer and were quite a bit heavier. 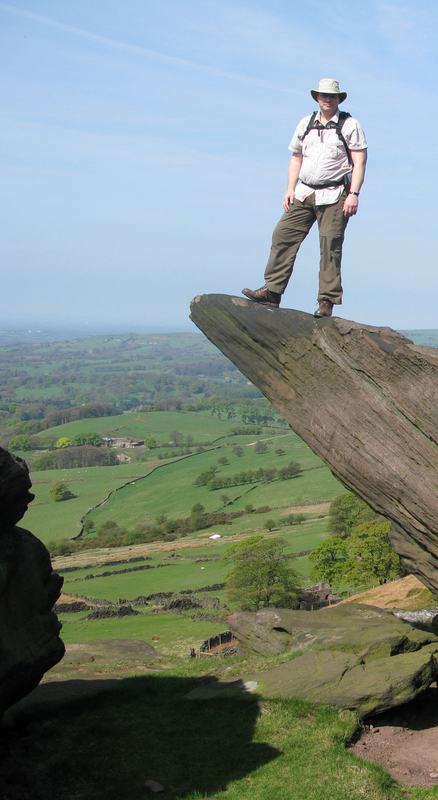 The 2013 printing of OL24 shown below, covering the White Peak area of The Peak District, weighs 202g compared to the 2009 printing of the non-laminated OL24 sheet that I also have which weighs 129g. It is surely obvious by now that I have an inordinate fondness for O.S. maps, however I do recognise that their weight stands against them as the number carted along along on a longer trek increases. It is mostly due to the weight issues that I have not gone far down the Active map route or heavy duty equivalent Lamfold. I did come across the occasional alternative to the Ordnance Survey Active Maps. 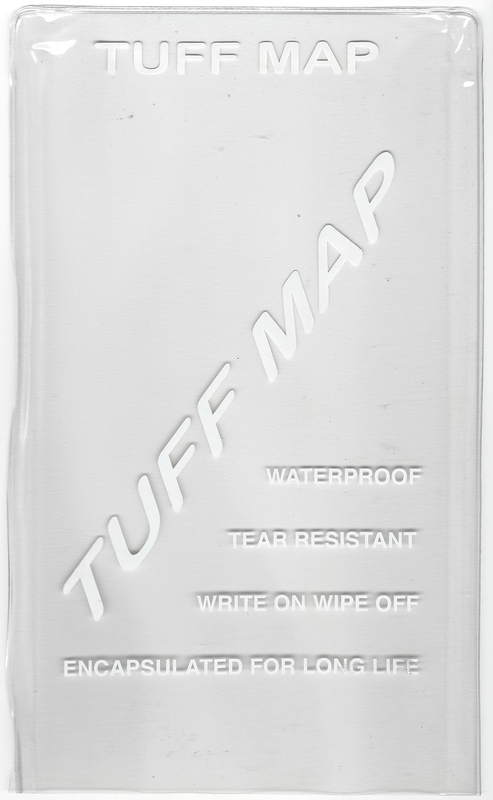 There were the Tuff Maps, printed by Ordnance Survey, produced under licence by Trail Card. While likewise laminated and waterproof, the Tuff Maps did not include the covers in the lamination. 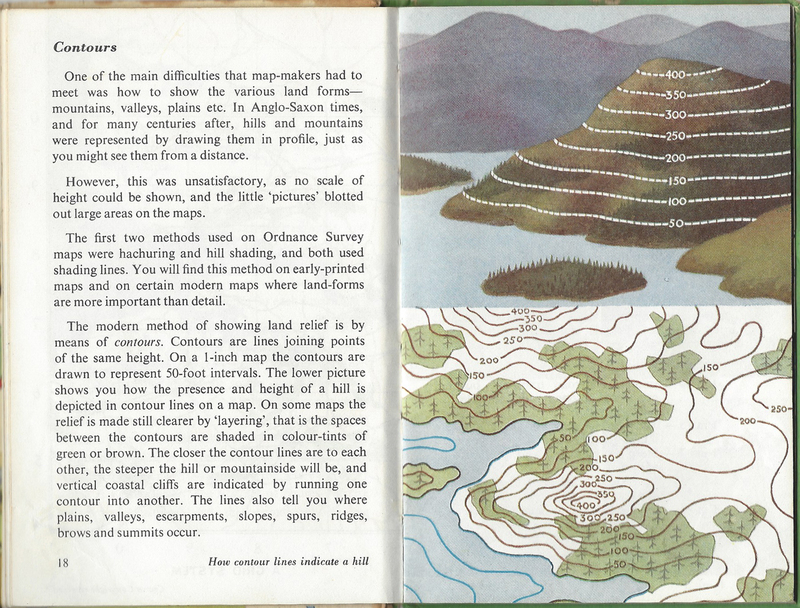 It wasn’t easy to find these maps though Outdoor retailer Cotswold stocked them for a while. Again, pretty pricey and pretty heavy. But not including the cover in the laminating did reduce the weight slightly. The encapsulated map, sans cover and plastic sleeve weighs 162g. Glancing at my book shelves I found just one other type of laminated Ordnance Survey map. This is my encapsulated Wilderness map- Outdoor Leisure sheet 2, covering the Southern & Western areas of the fantastic Yorkshire Dales. It was an incredibly wet fortnight when I first visited this area- taking in Malham Tarn, Pen-y-ghent and Wharfedale amongst other delights. 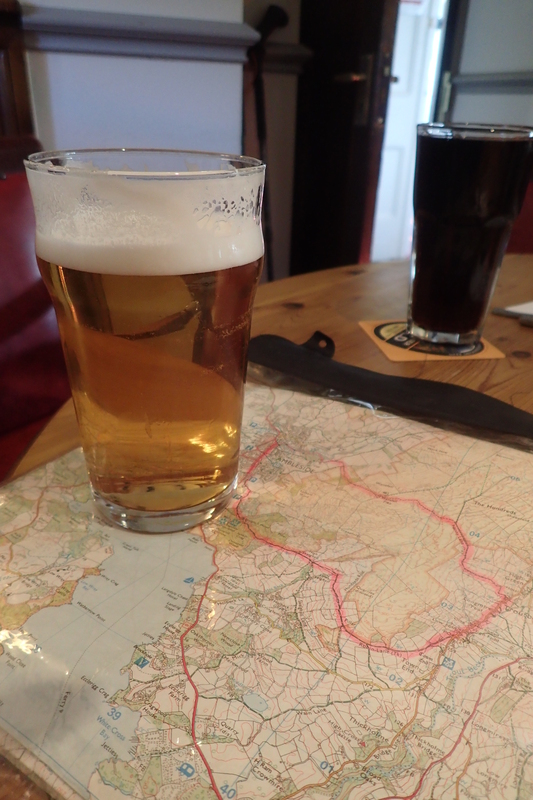 My map case was temporarily lost somewhere so I picked up one of these Wilderness maps in a small shop in the delightful Hawes. The cover is included in the laminating and it is no lightweight beast- 205g compared to the 127g of my 2014 Explorer edition of the same area. A pretty large area too, which is spread across both sides of the sheet. Despite the weight penalty, it held up to constant soaking well and the map is still with me. I think the laminating work was carried out by a local business. Possibly Mayfield Books of Sheffield. It is hard to believe that there was ever a time when the 1:25 000 Explorer series did not cover the whole of Great Britain. The first four titles were released in 1994, yet in 1997 there were only 31 titles. 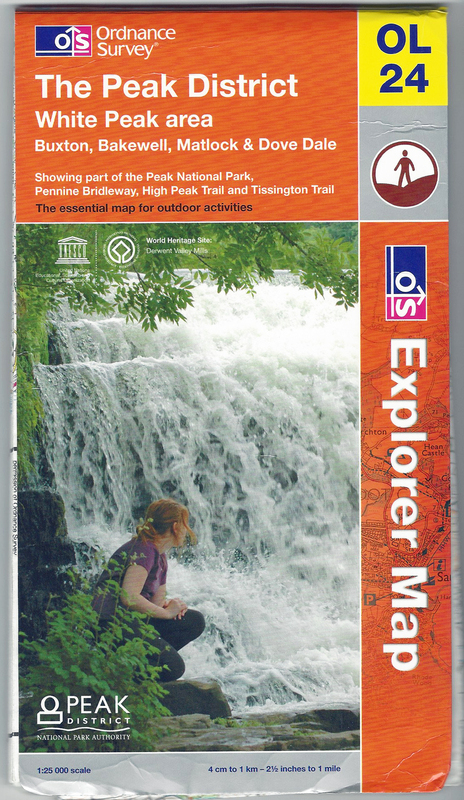 The original Explorer 1 sheet covered Kielder Water but was replaced by Outdoor Leisure 42 in 1997. There are now 403 in the series covering Great Britain. 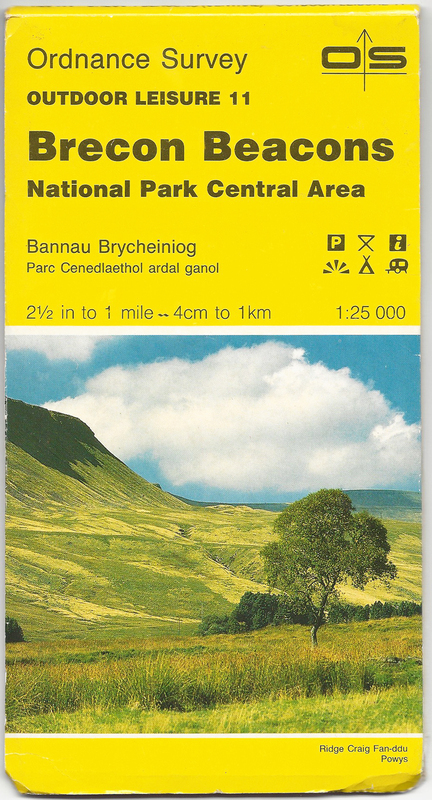 In the nineties there were many times when I was visiting an area and I was buying one or two 1:25 000 Outdoor Leisure maps, supplemented with a couple of adjacent Explorer, having to make up coverage of a area with 1:50 000 Landranger maps. No comparative problem in recent years as full coverage is now offered by the Explorer series. 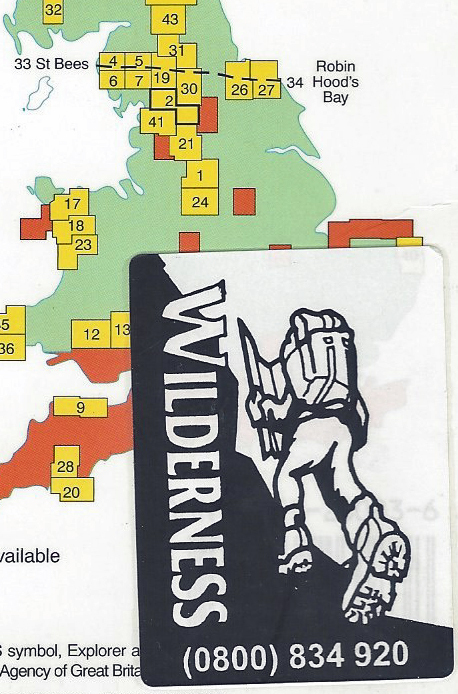 By 2003 all of my beloved Pathfinder and Outdoor Leisure map had been converted into Explorer maps, the Explorer maps covering the same area as three Pathfinders. The Explorer is, without doubt, my favourite O.S. series. The scale is perfect for walking, though some may disagree as it is possible to move across a map quite swiftly. However, as with the Outdoor Leisure sheets, it is the amount of detail that is shown that I find of most help. As I mentioned earlier, to be able to tell on which side of a fence a path runs has often prevented my going astray. It is perhaps not surprising that these are my favourite maps as they superseded the smaller Pathfinder series which were to the same scale and were what I grew up with. When I left the British Army in the 1980s and settled in North Kent, I began a long series of explorations of my new local area- sometimes with wife and/or friends, often solo. 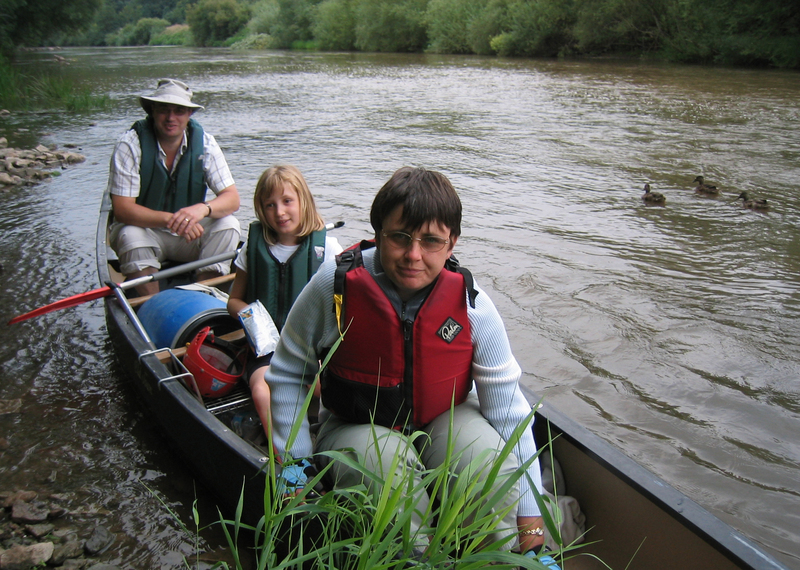 When my daughter joined our family in 1998, like so many other families, we explored countless miles of path. 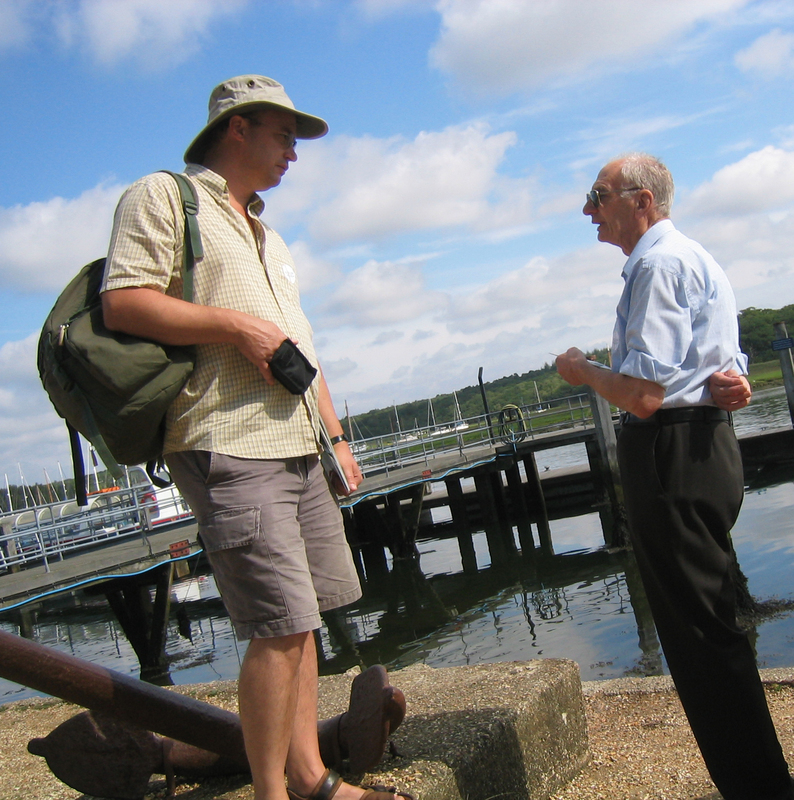 Alongside my battered Landranger, sheet 178, covering the Thames Estuary, it was to O.S. Explorer sheet 149 that I turned. 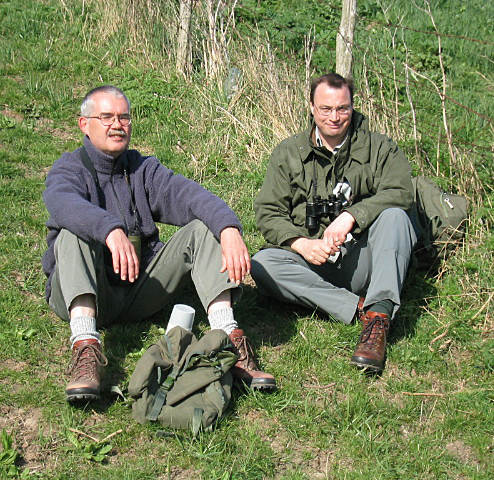 On long treks across the North Kent marshes, frequently with a like-minded friend or two, an O.S. 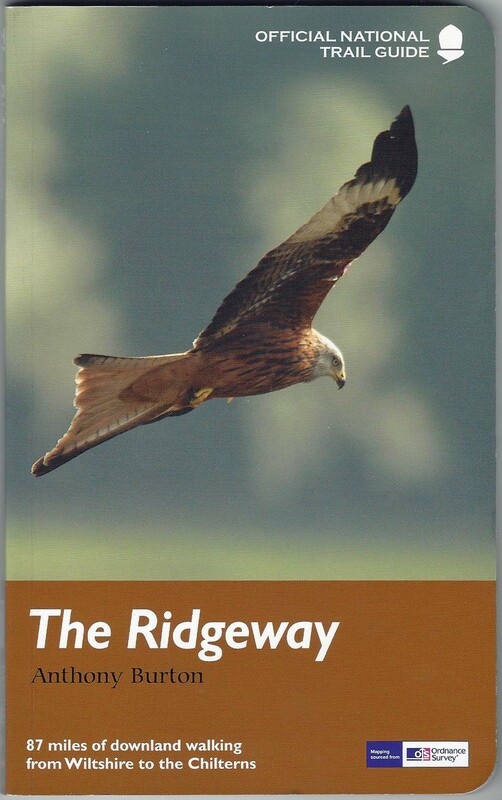 map would suggest routes, landfalls for migrating birds, water sources for waders and seabirds and the locality of the nearest public house. On the day I posted this page to my website, I was able to escape family taxi duty long enough to drive twenty minutes down the road to explore a brief two-hour walk through rolling Downs with new born lambs and bluebell woodlands to keep me company. This was only possible due to ten minutes well spent the previous evening with my local O.S. map working out my route. Many people do not realise what some of the symbols on a map mean, some more recent additions to the covers leave even more people either stumped or blissfully unaware. 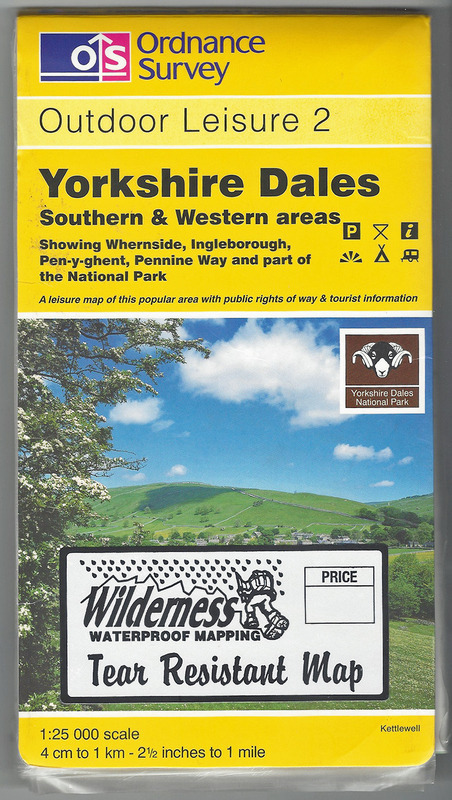 The Open Access symbol on the cover indicated that the map includes areas of Open Access land as designated under the Countryside and Rights of Way Act 2000 for England and Wales. 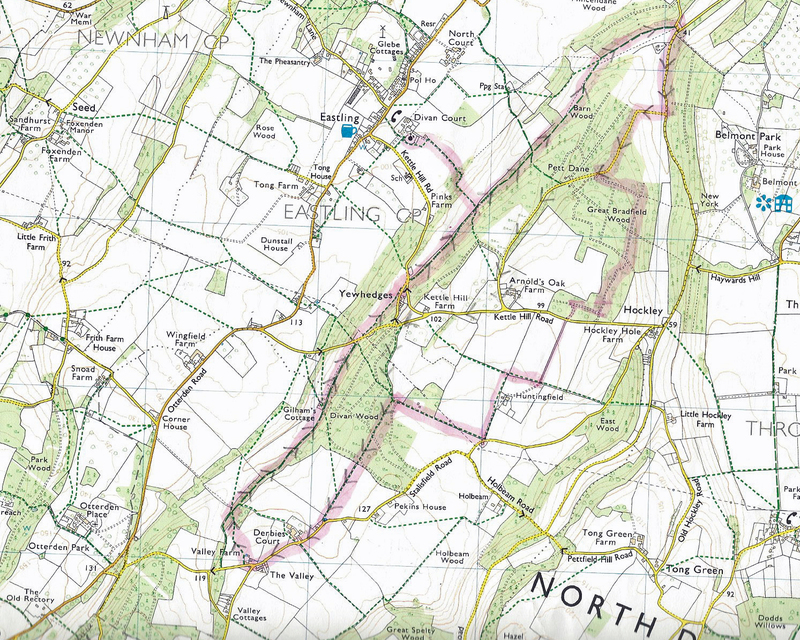 Digital versions of Ordnance Survey maps have been available for use on mobile phones and devices, GPS etc for quite some time. 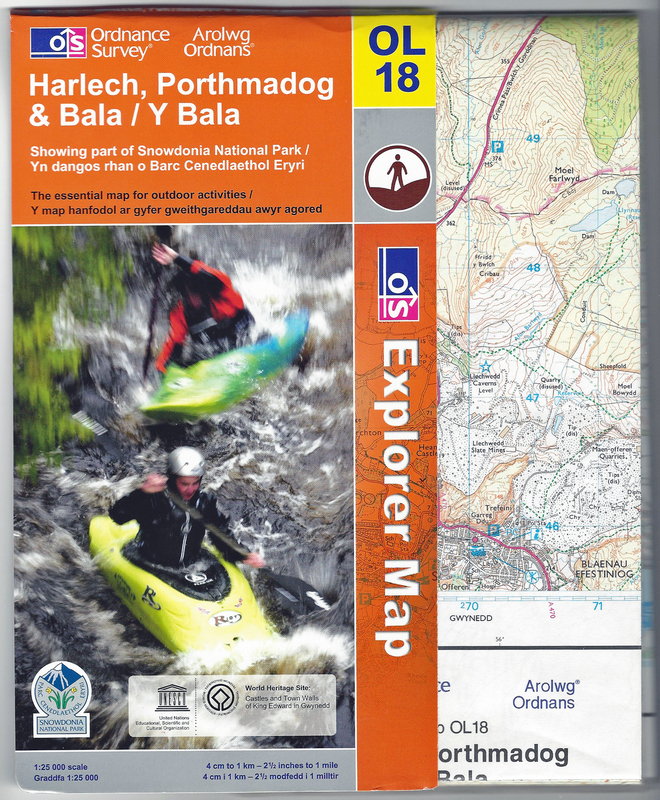 Paper maps became even further integrated with the digital world in May 2015 when Ordnance Survey announced that they would include a digital copy of a map when the new paper copies were purchased. This applied to the OL series through an app available on Android and iOS devices. 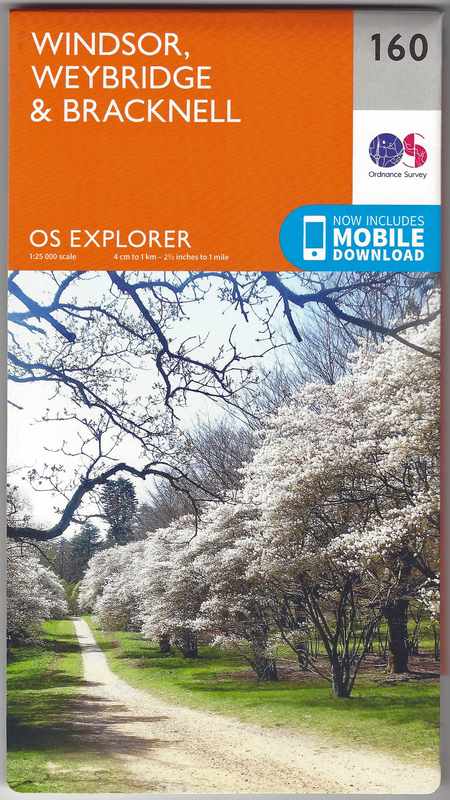 Following the release of 62 Outdoor Leisure maps with mobile download in mid 2015, 341 O.S. Explorer maps with mobile download were added on 16th September the same year. Despite the prevalence of GPS and various digital mapping, I continue to buy the paper sheets when I need them, or when I simply visit a new area where a bit of walking is to be included. 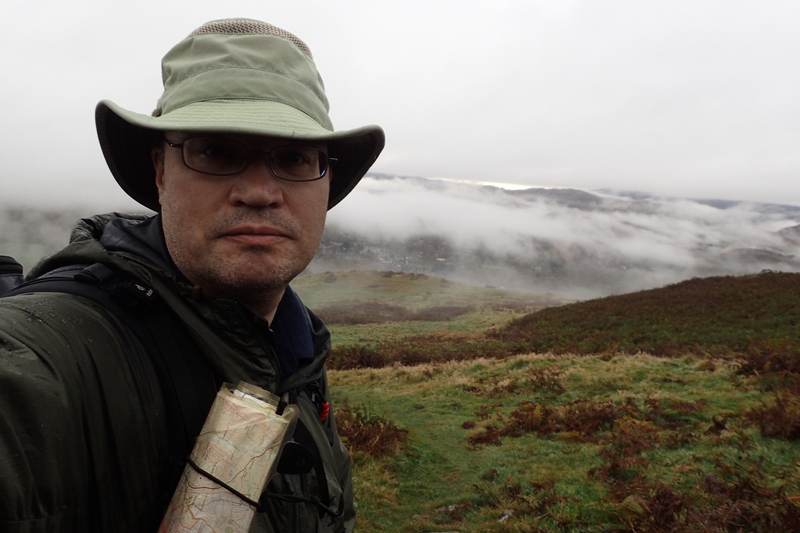 In 2016 when I began to tackle the forgotten 215 mile London Countryway, it was to the Explorer series that I turned. As you can see, sheet 160, covering Windsor, Weybridge & Bracknell came complete with the facility of a digital download. Note the new logo adopted by the organisation too. This is in the brand’s official colours of midnight blue, rubine red and charcoal and was the first change for fifteen years. The bespoke OS Meadows typeface was new too. It was felt that the flat arrow of the previous design was too closely associated with paper maps and did not sufficiently apply to the digital age and application. So what, I say! The ‘O’ is a map showing the Ordnance Survey Head Office in Southampton, while the ‘S’ is a map of a rural location in Yorkshire. This represents the work in mapping Britain’s towns, cities and countryside. Differing styles and detail of the new logo were created for different uses. The exact map and degree of detail within the ‘O’ and ‘S’ could differ according to how it was being used. Another change effected was the choice of front cover image. From the 15,000 entries the Ordnance Survey received from the public, these were whittled down to just 615 for use on the map front covers. 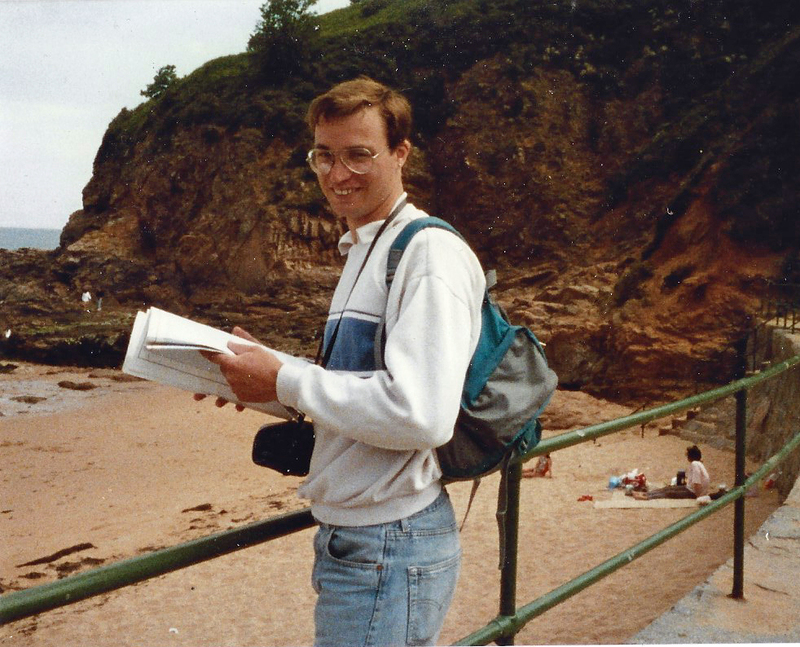 When I married in 1989, my wife and I honeymooned on the lovely island of Jersey- one of those which makes up the Channel Islands a hundred miles south of England and tucked into the elbow of France. For this I turned to the Ordnance Survey Leisure Guide produced jointly by the publishing division of the Automobile Association and the Ordnance Survey. As newly weds, we made great use of 1:50 000 island map for planning and 1:25 000 maps for our walks and cycle explorations. However I am not sure my new wife appreciated then just how much I would be abandoning her or dragging her out to accompany me on walks over the following years. This was quite a large publication; measuring 165mm x 295mm (6 1/2″ x 11 5/8″). Other titles in the series covered Cornwall, Cotswolds, Ireland, Lake District, New Forest, Northumbria, North York Moors, Peak District, Scottish Highlands and the Yorkshire Dales. 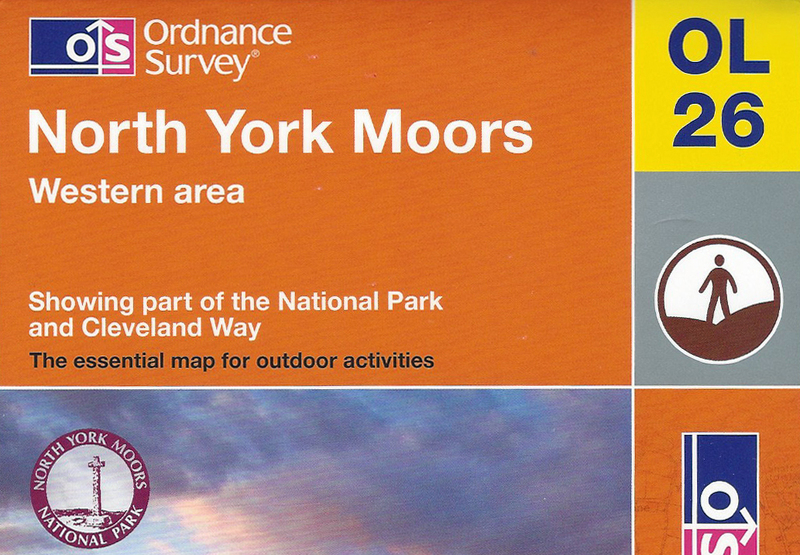 Quite a number of publishers employ Ordnance Survey maps in their written guides to trails and areas. I admit to a weakness when buying these for planning purposes and a bit of well-researched background information to an area I am visiting. 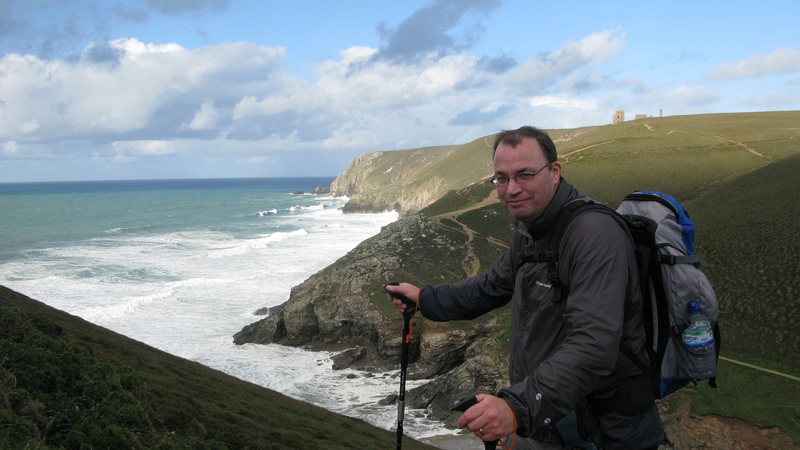 The ‘Official National Trail Guides‘ employ a large number of O.S. map panes on their pages and could very likely be used on their own if following a trail, however I always use the large map sheet itself and I am wary to the danger of ‘walking off a map’ and like to use more distant features for orientation. This is something that cannot be done with those smaller maps included in a book format. This is the same reason I shy away from GPS and the like too. I may alter my opinion on the latter one day, but I cannot see it happening soon. My great favourite amongst printed guides are those published by Cicerone. These are of consistently high quality and pack incredible detail into their compact dimensions. The select group of authors, all long distance hikers who actually cover the ground, are to be commended. 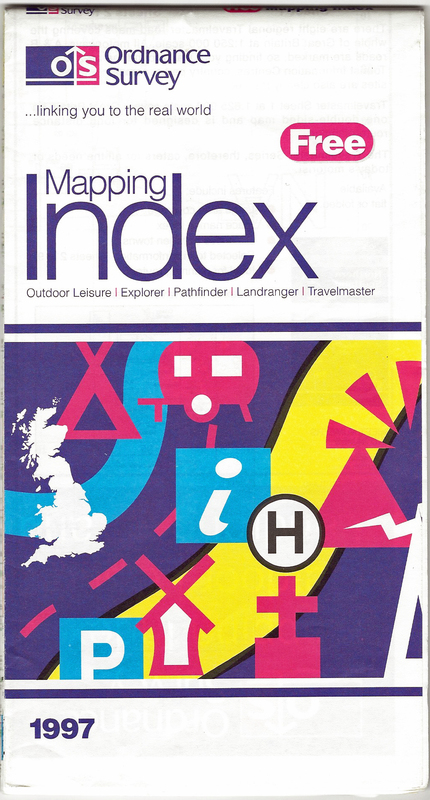 As an indication of those pre on-line resource times, I have included an image of the Ordnance Survey Mapping Index from 1997. This showed the sheet lines of all the maps in the Pathfinder, Outdoor Leisure, Explorer, Landranger and Travelmaster map series sheets available at the time. 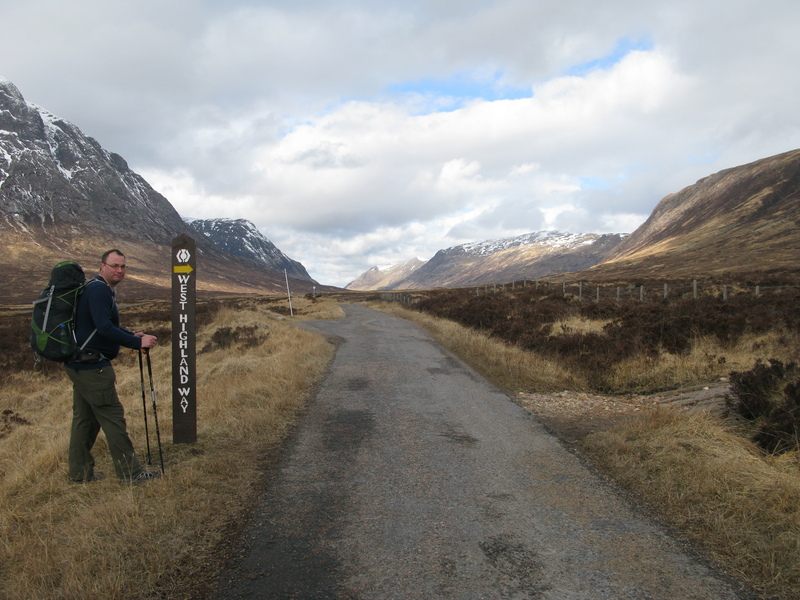 The National Trails and recreational paths over 100km are also included. This was a really useful hard copy resource that I perused in depth before most trips to another part of the British Isles. Certainly this mapping index alone is responsible for my parting with more hard earned cash than I could probably afford. Of course there is no need for such a product today. 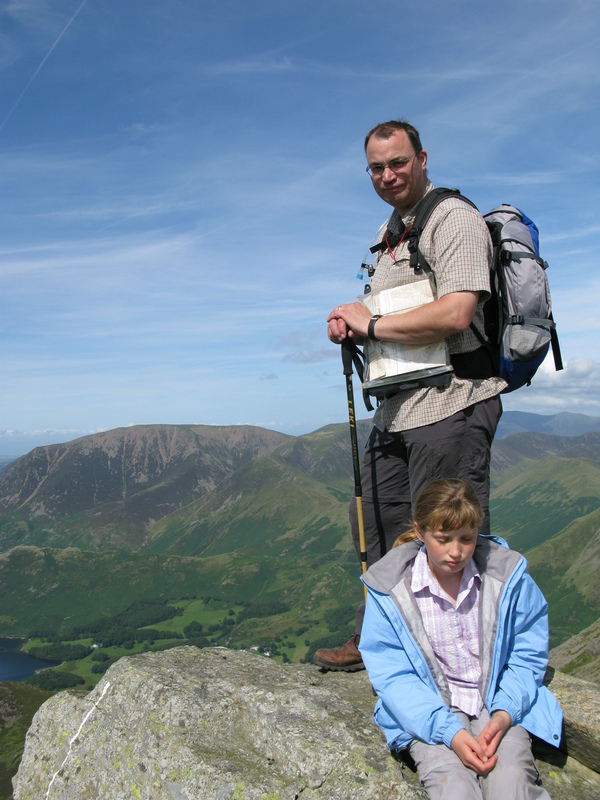 It is a simple task to go on-line and find exactly what Ordnance Survey map I require. The Travelmaster series catered for the needs of motorist before satnavs became prevalent. They still fulfil a great role for planning purposes and for seeing a glance, the course of a car trip and potential for alternative routes. Additional tourist information was included on the maps. Telephone numbers of local weather centres, national and local radio frequencies. This series replaced both the earlier Routemaster and Routeplanner maps, combining those two series. When newly married, it was to this map that I turned when introducing my wife to Scotland. 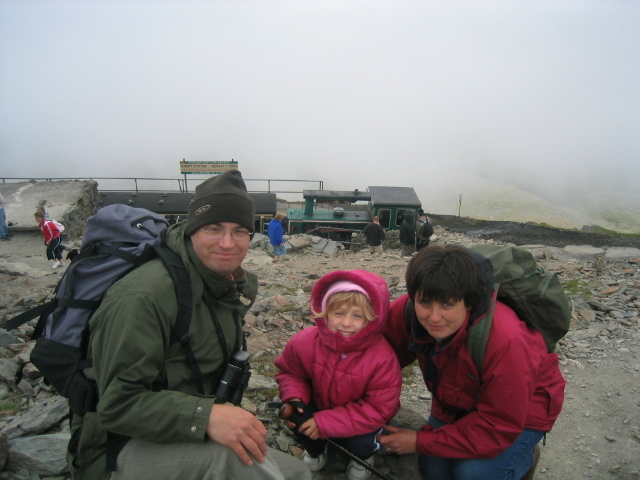 With the introduction of a daughter to the family, I again relied on the Travelmaster series when taking my young family ‘north of the border’. Sheet 1 covered all of Great Britain and was to a scale of 1:650 000, or 4cm to 25km / 1 inch to 10 miles. Sheets 2 to 9, which included Northern Scotland, shown here, were scaled at 1:250 000 (1cm to 2.5km / 1 inch to 4 miles). 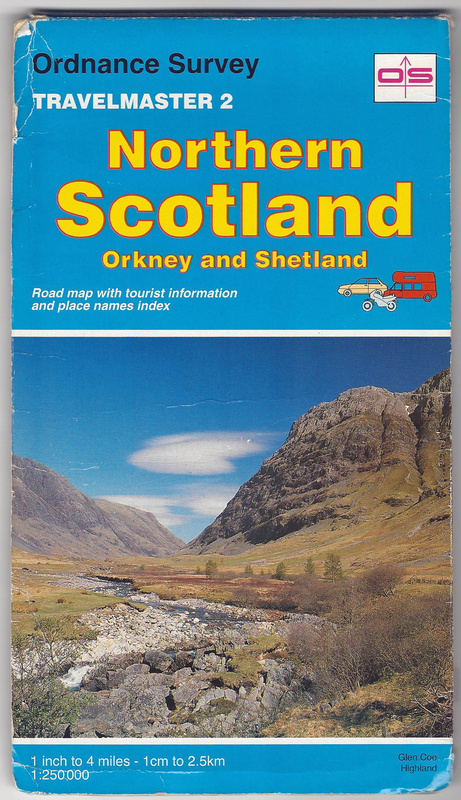 The Tour series of maps from Ordnance Survey, eventually twenty three in number, was specifically aimed at motorists planning tours or wanting to look at planning on a local basis. The scale of 1:100 000 was the same as (whisper it!) 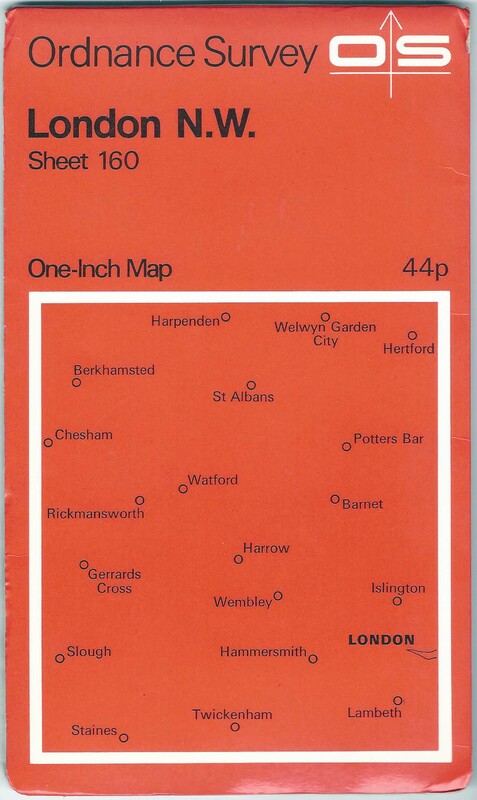 another producer of maps that had occasionally found favour with me in the 1970s- This was the 1:100 000 National set of sheets produced by Bartholomew in the 1970s. The mighty Ordnance Survey eventually proved too much competition for them and Bartholomew’s series was discontinued. 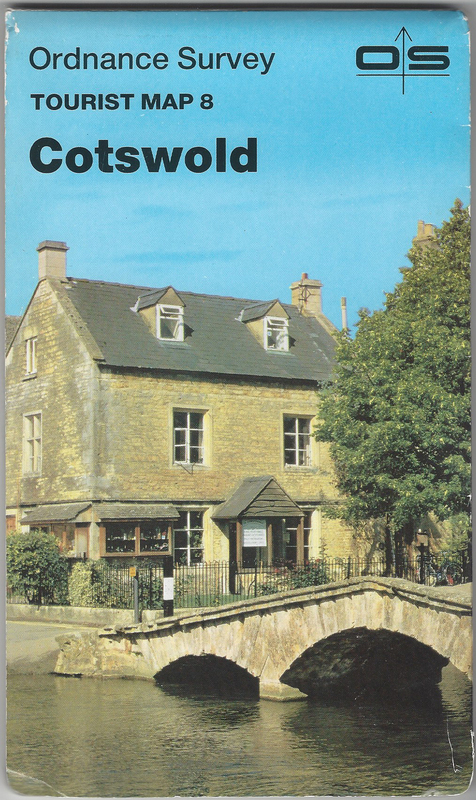 The cover design shown here was the updated design first introduced by Ordnance Survey in 2002 with the Cotswold map being amongst the last produced in 2009 with only one more (Scotland in 2010) being produced. 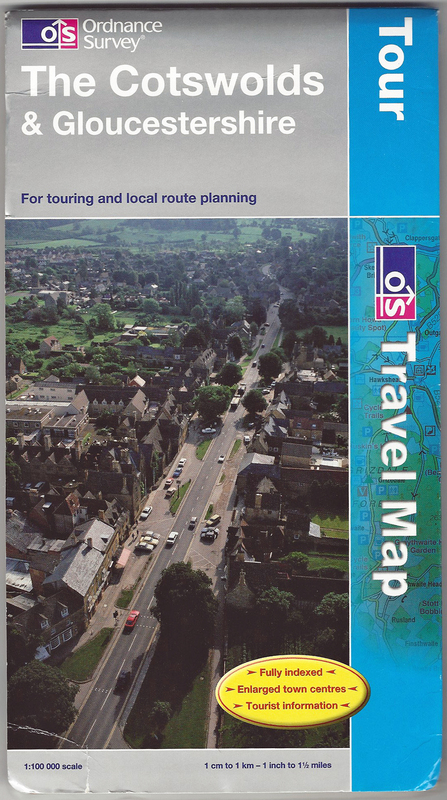 Just as these maps had seen off some of the competition, Ordance Survey recognised that the growing popularity of satnavs for touring purposes was dominating the market and the many in the Tour series of sheets were discontinued in 2010. It must be admitted, great as an Ordnance Survey map is for way-finding in the countryside, they are next to useless in built up areas. The level of detail makes them almost impenetrable. This is where an A to Z or similar is of far greater use. However the enlarged town centre maps also included on these sheets, with simplified detail and road names etc, made the Tour series far more suited to touring purposes, even if the detail of a town never quite extended far enough into its suburbs. Market Days and Farmers Markets are also included on the Tour sheets. Another addition on the O.S. Cotswolds Tour sheet was a ‘Scenic Route’ for the car traveller, marked out in purple. This was actually ‘The Romantic Road‘- a route devised by Cheltenham Borough Council. I never used many of the Road series of maps. 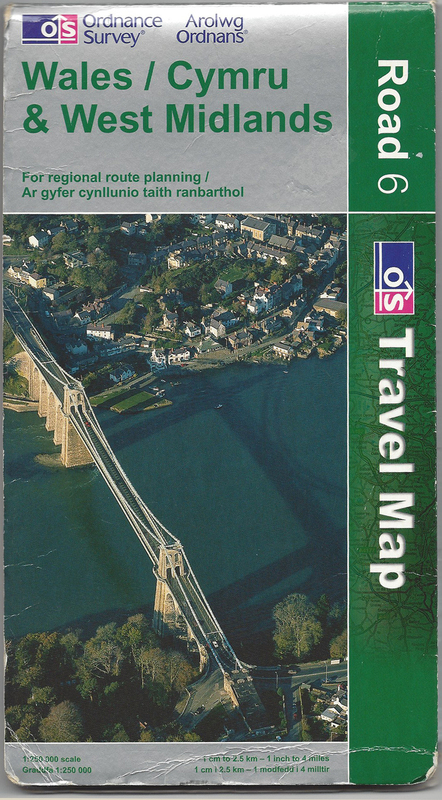 These maps were designed for road users however they were discontinued, along with their Tour and Route maps in January 2010 as Ordnance Survey focused their range and cut costs. The fifteen Tour maps that covered Great Britain were simplified and clear maps intended for car touring and local route planning. I also had their double sided Route map that covered the whole of Great Britain at a scale of 1:625 000, spread over two sides of a sheet. However that got shredded attempting to make sense of routes within the confines of a Morris Minor. The Road maps were far more user friendly. Ordnance Survey sheet Ancient Britain was produced in collaboration with RCHME, RCAHMW and RCAHMS and showed major antiquities of Great Britain older than AD 1066. The main criteria for sites to be included on the map was that a monument was visible and that it was not on land closed to the public. A potted history and a small selection of aerial photographs helped further illustrate what is quite a simple map. It is separated into South sheet on one side and North sheet on the other. I did use this map on more occasions that I had originally thought I would when I bought it. It was mostly pulled out for a bit of preliminary planning before I visited an area, I used to also have the companion Roman Britain sheet used in a similar manner but that got lent and never returned. I will be using this map while planning my Three Points of the Compass route over the coming months. Where I can, some sites may be included on my route for added interest. 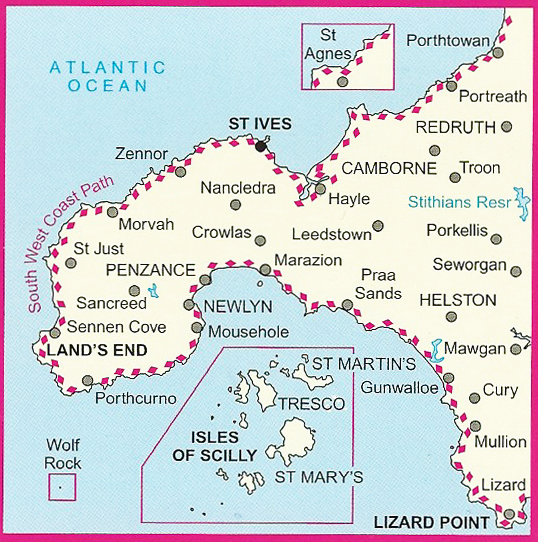 The benefit of a map such as this is that the historic sites mentioned are not going anywhere. Regardless of when the map is published, the sites themselves will have a far longer shelf life. A particularly useful feature is that each site listed is given its National Grid reference number and the relevant 1:50 000 scale Landranger map number. 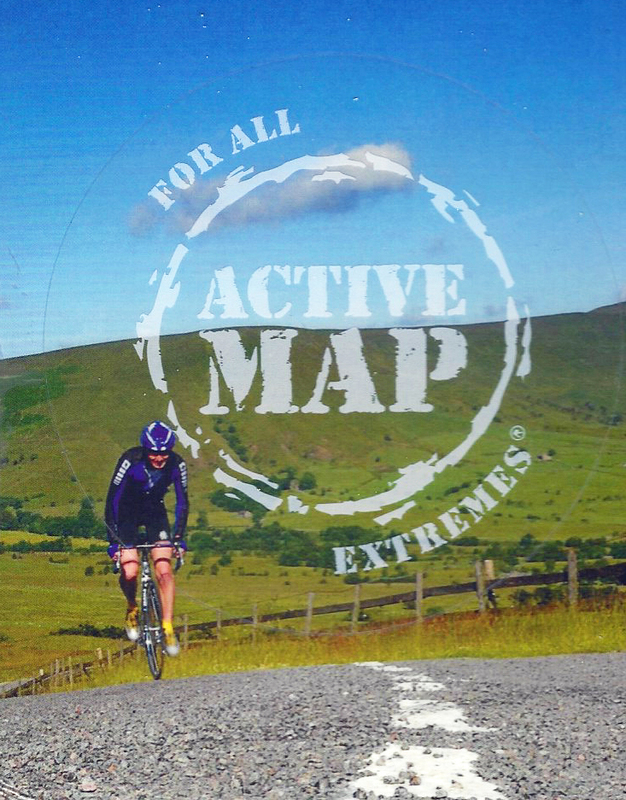 It was only very recently that I began to make use of Ordnance Survey’s custom map facility. 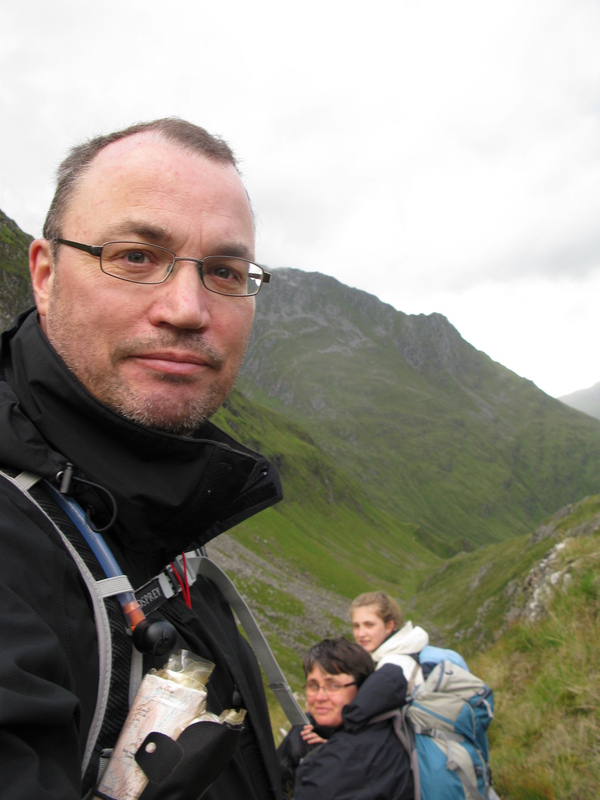 Going on-line, I input my desired central map coordinates and, because it is the wilds of Scotland, chose 1:50 000 scale Landranger sheets. I am vain enough to have put myself on the cover. I chose an image I had of Rannock Moor for its composition, perhaps Knoydart or even Torridon may have been more suitable. It matters not to me. These particular maps, and six others, are for my Three Points of the Compass walk in 2018. By selecting my own series I can use less maps and consequent less weight and bulk to cover the areas I will be walking through. I much preferred the original cover design text layout, but with their rebrand, they also changed the cover layout, most obviously with the larger cover image. Most annoying to me as someone who stores my maps on a bookshelf, selecting them by spine name, is the change to title layout. The custom name on the spine of those I ordered in 2014 is the title I selected. Now it is simply a ‘CUSTOM MADE’ legend on the spine. Of no use to me at all for indexing and easy selection. Despite my emailed protestations, O.S. simply informed me they had ‘noted my comment‘. If ordering such maps yourself, be aware that the published date, or any other date for that matter, does not appear anywhere on the product. However the degree of magnetic declination does. As I said at the beginning of this retrospective through my last few decades with Ordnance Survey maps, this is by no means at all a history of the map, makers, or the sheets or scales of the covers themselves. There are some fantastic on-line resources to be found by anyone interested in looking further. For the researcher, there is the Charles Close Society. 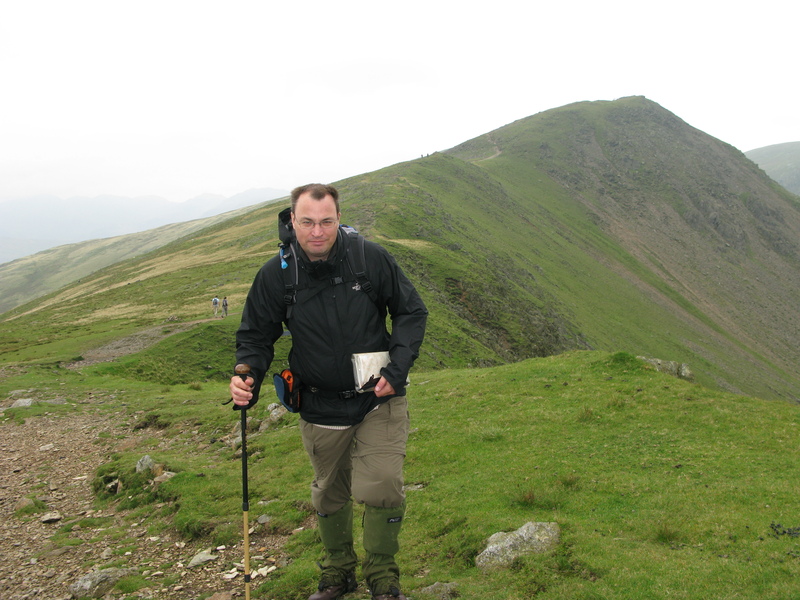 This society of enthusiasts take their name from the Director General of the Ordnance Survey between 1911 and 1922. I am not a member of the Charles Close Society, I simply enjoy my maps as they enter my life and accompany me on various exploits over the years. 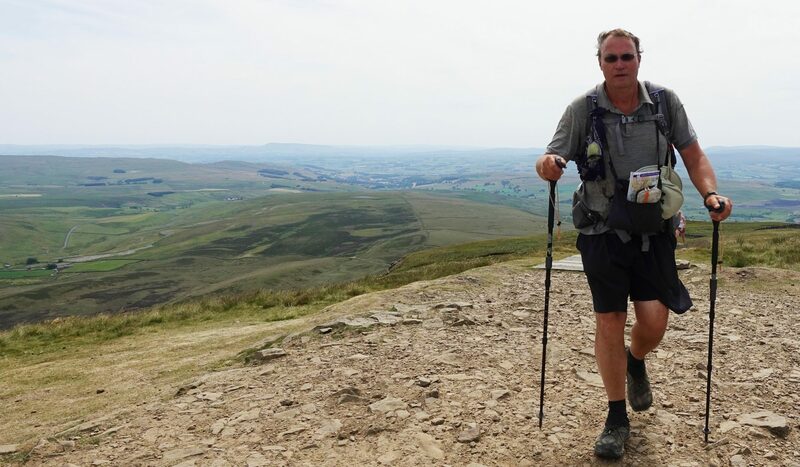 Despite the growing presence of digital mapping and an increasing reliance by many walkers on the digital rather than the paper, a mistake in my opinion, I shall continue venturing into the hills. Invariably with a paper O.S. map not far away. 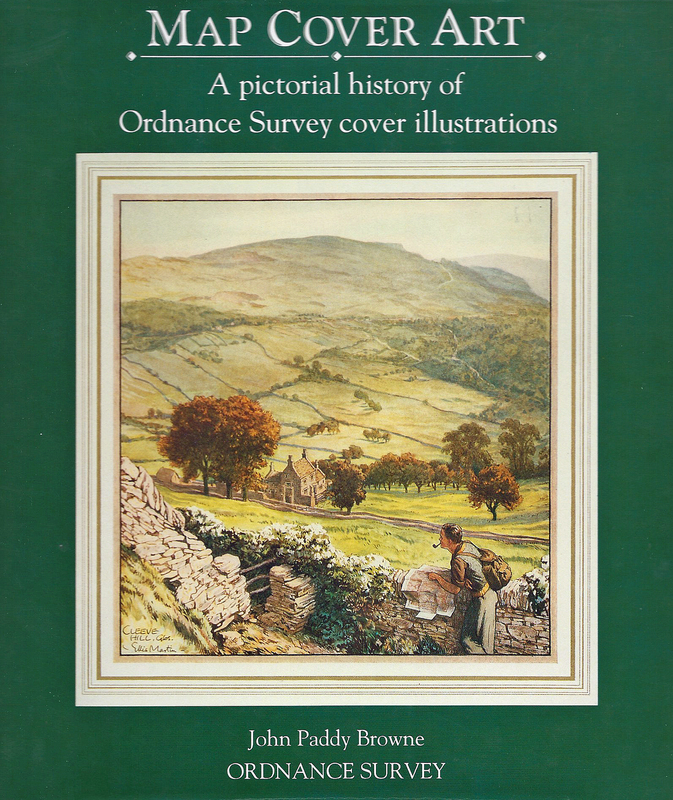 * For those interested in the covers of Ordnance Survey maps, there is one publication that I can recommend. While it only covers up to around 1990, and quite understandably concentrates on the ‘golden age’ of cover illustration in the 1920s and 30s. It is, nonetheless, a well illustrated and fascinating read.